A fabulous sunny afternoon at Cairns Esplanade Lagoon, listening to Dale’s band ‘Left Unsupervised’. Love working with this vocalist and being part of her journey. Corporate, Wedding and Function gigs already booked! Our first Art Attack at Shields Heart, Shields Street for 2019! What an evening! So proud of our CVS and CQU emerging artists, with guest artist Roz Pappalardo performing! Locals, supporters and passers by enjoyed this beautiful space and live music! Thank you to Cairns Regional Council and CQU University for your support! 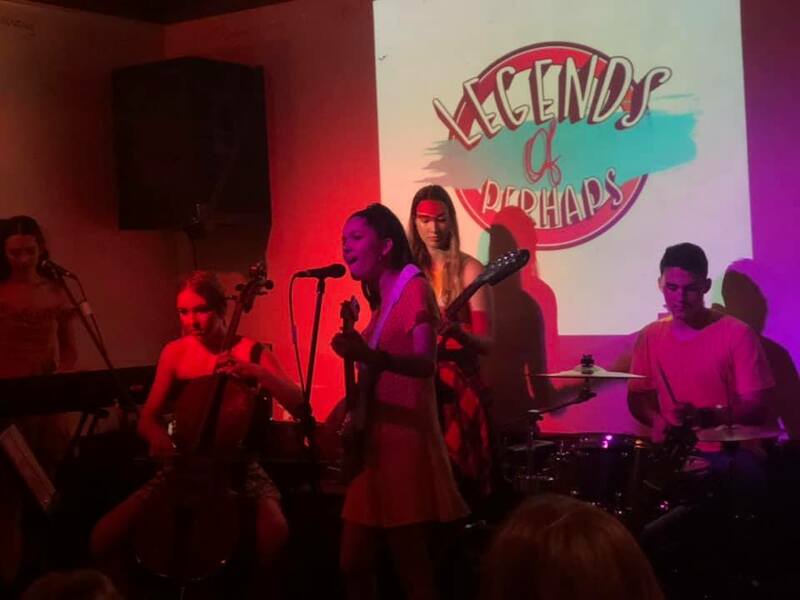 Legends Of Perhaps launched their new single ‘Yellow Paint’ at McGinty’s Saturday night, to a lovely, warm crowd. So proud of what these young artists are creating and producing. Loving the ride! I was invited to conduct a voice workshop for over forty volunteer radio presenters, Saturday. Thoroughly enjoyed working with such an engaging group of people. 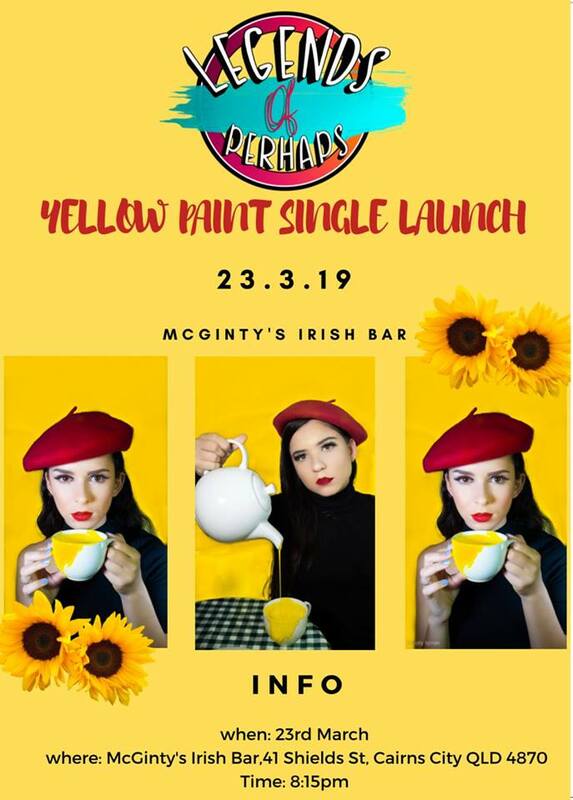 Legends Of Perhaps ‘Yellow Paint’ Single Launch THIS Saturday! Excited for this launch at McGinty’s this Saturday 8.15pm. Love working and mentoring these talented and hard working artists. 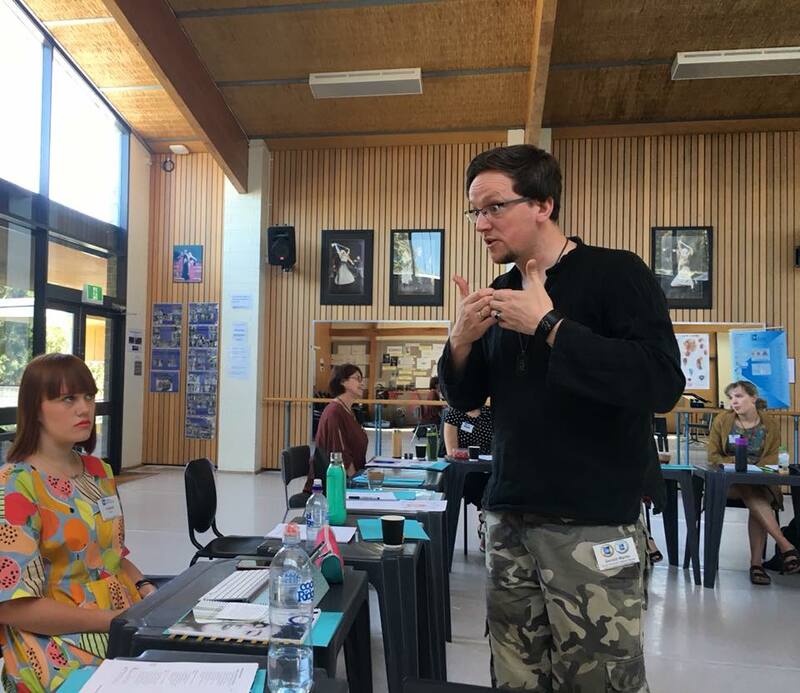 I had a fabulous time conducting a voice workshop for twenty teachers at Woree State School yesterday. Ready to delve into the unknown for many and, face their fears. The main tool for teachers is their VOICE! 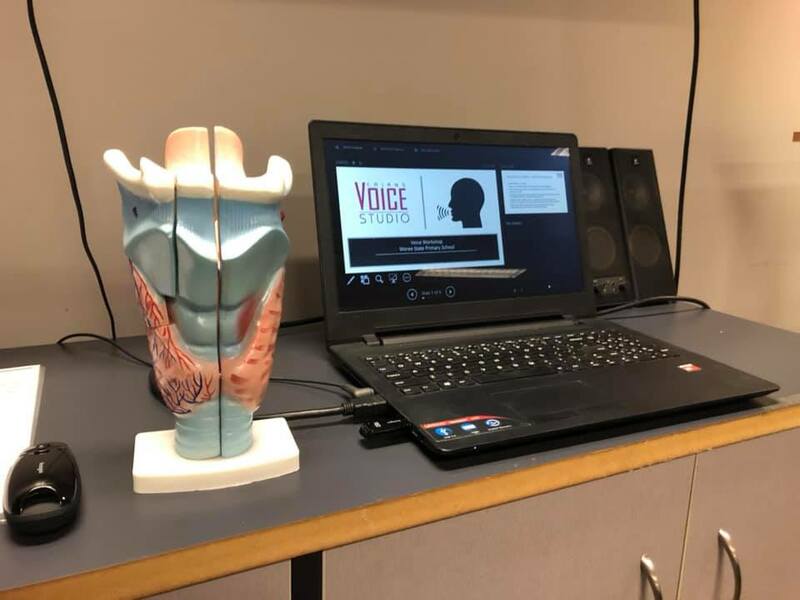 For many, vocal fatigue and trauma is an issue., having to speak and address a large group of students seven hours a day. Love my Monday’s lecturing and coaching voice CQU Creative Arts students! Today, I conducted a voice application workshop. Everyone got up and had a go! Maggie Slater will be performing at Tanks Up Late this Saturday 23rd February, after Eves Karydas Tour gig, at Tanks Arts Centre. 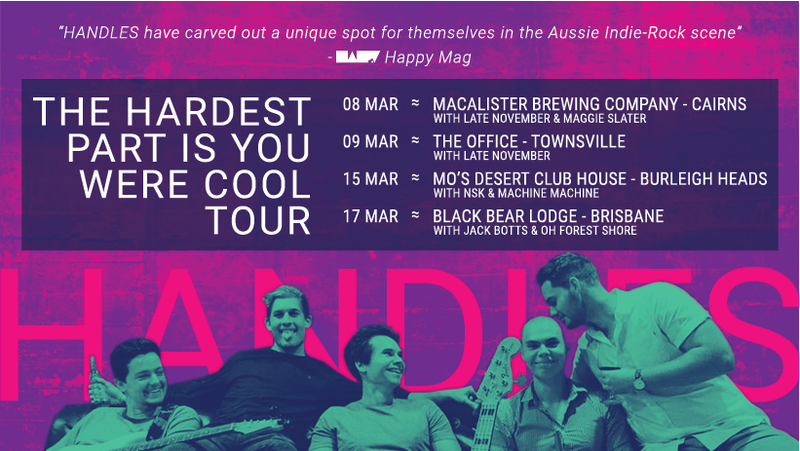 Maggie Slater to support Handles opening gig of their East Coast Tour., Friday 8th March at Macalister Brewery. Excited to be invited to conduct a voice workshop for radio presenters at Cairns 89.1FM Conference, Saturday 23rd March 3pm. Alot of fun, discovery and play to be had! Happy New Year, and what a way to start the year, with this lovely testimonial from Chiara Patalano, whom i have had the pleasure in mentoring vocal pedagogy and performance December and January! 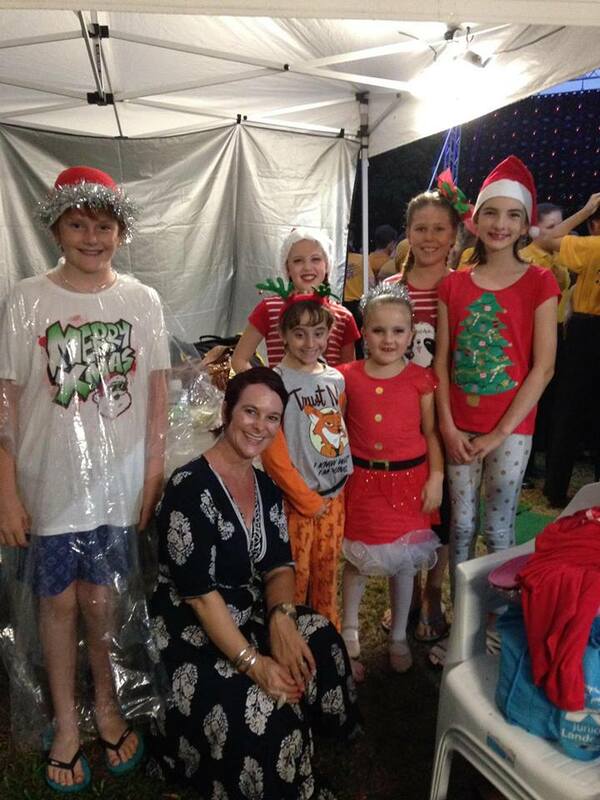 Cairns Voice Studio would like to wish everyone a Merry Christmas. 2018 has been a huge year, and continually grateful for your support, and belief in our work! Thank YOU, the students, who challenge and inspire me every day. 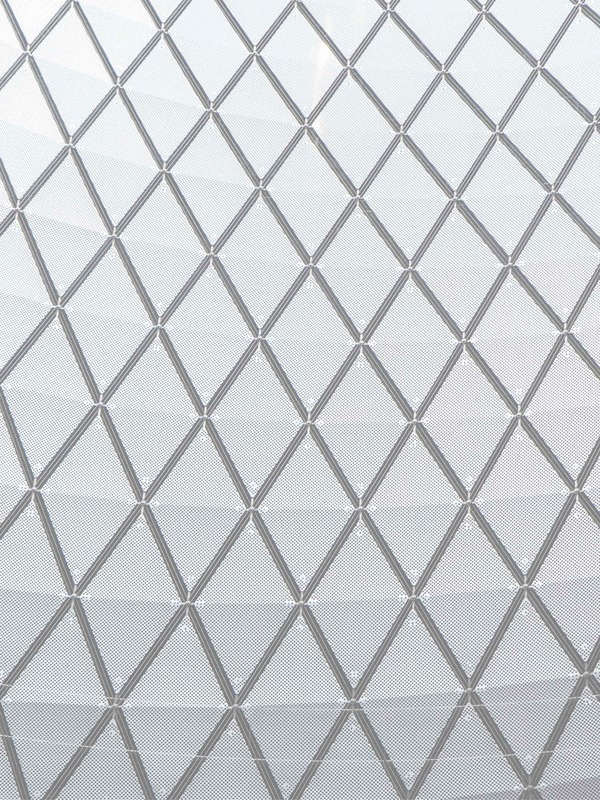 Looking forward to a fabulous 2019! 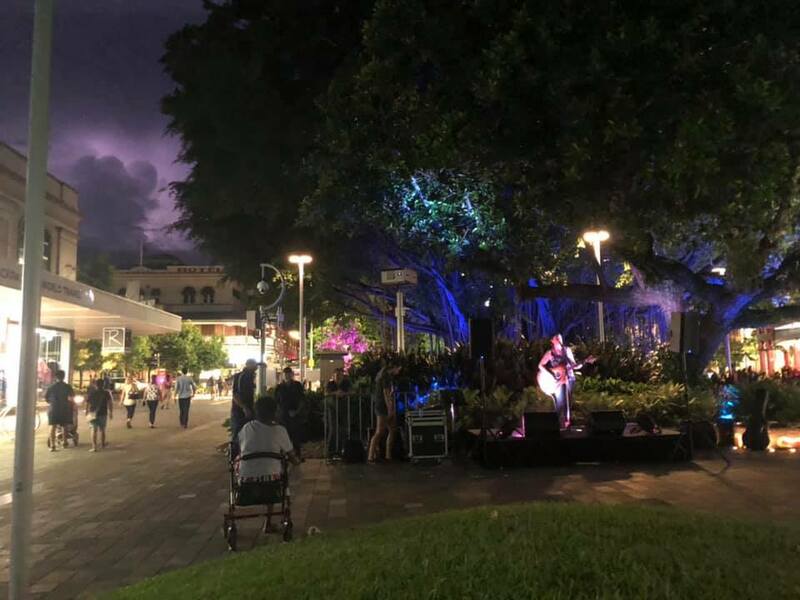 A Special Thank You to Elixir Bar, Close Contact Cairns Music Industry Development, Cultural Services, Cairns Regional Council, Entertainment Cairns, Balcony TV Cairns, The Jack, Cairns Esplanade, CQU Univsersity, Tanks Arts Centre, Patty Preece, Melania Jack, Roz Pappalardo, Leanne Tennant. CVS student and emerging artist, Amber Farnan, 16 yrs opened this event with her original song, ‘Symphony For Tomorrow’ with the NQ Philharmonic Orchestra. Incredibly proud of this young woman, who has had such a big year! A lovely Testimonial from emerging artist / singer songwriter Maggie Slater. The improvement I have seen in not only my vocal ability but my confidence under Keesha's teaching has been phenomenal. 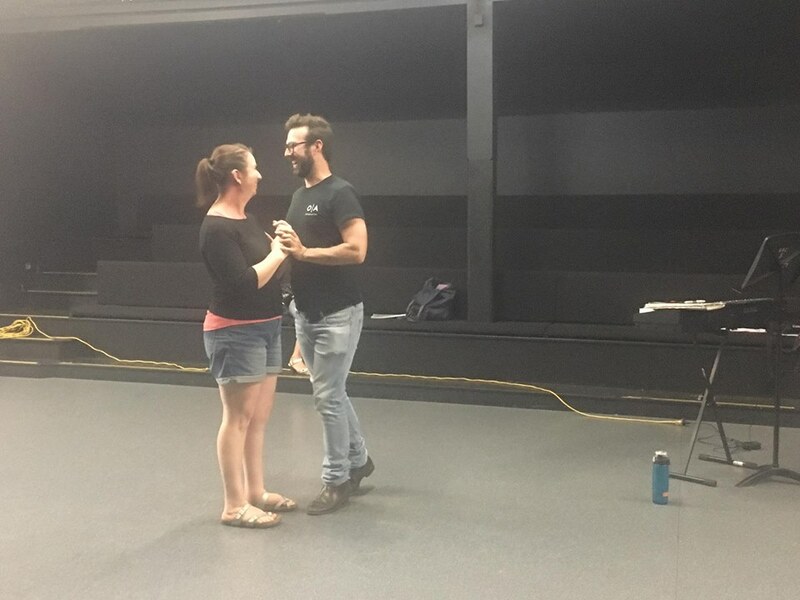 Keesha goes above and beyond just a voice teacher and has been an absolute role model and mentor to me over the past couple of years. The versatility, style and range of teaching Keesha is able to give makes her accessible to anybody wanting to learn or improve. The opportunities I have been given as a result of being her student has been life changing. 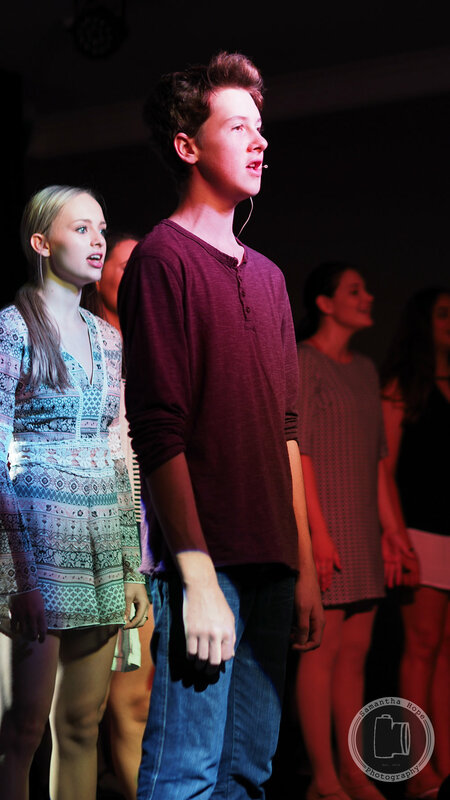 I would recommend Cairns Voice Studio to anybody looking for vocal coaching and performance experience. What a night! 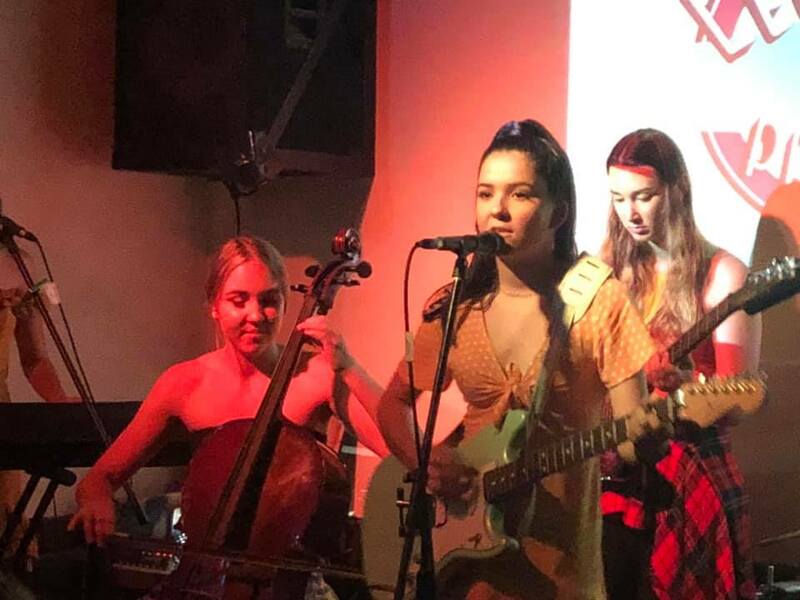 CVS students and emerging artists, Clara Satzke and Legends Of Perhaps performed a storm of original work, in a fab line up for TANKS Unplugged. So proud of what these young musicians are creating. They work so hard and are the most humble and dedicated students I know. Thank you to all who came to support the students last night. 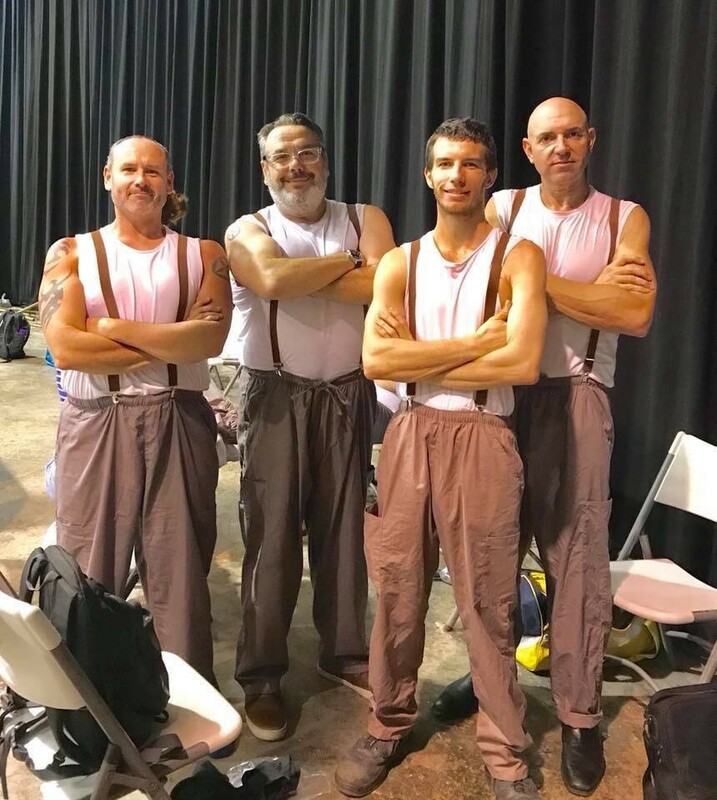 We performed two cracking shows! The students performed and sung their ‘socks off’! Damn proud of their commitment to each performance! Excited and damn proud for CVS student and emerging artist, Amber Farnan 15 yrs. Amber’s original song, ‘Symphony For Tomorrow’, composed for Queensland Symphony Orchestra, will be performed at the official opening of Cairns Performing Arts Centre, December 15. The event titled, ‘Symphony For Tomorrow’. 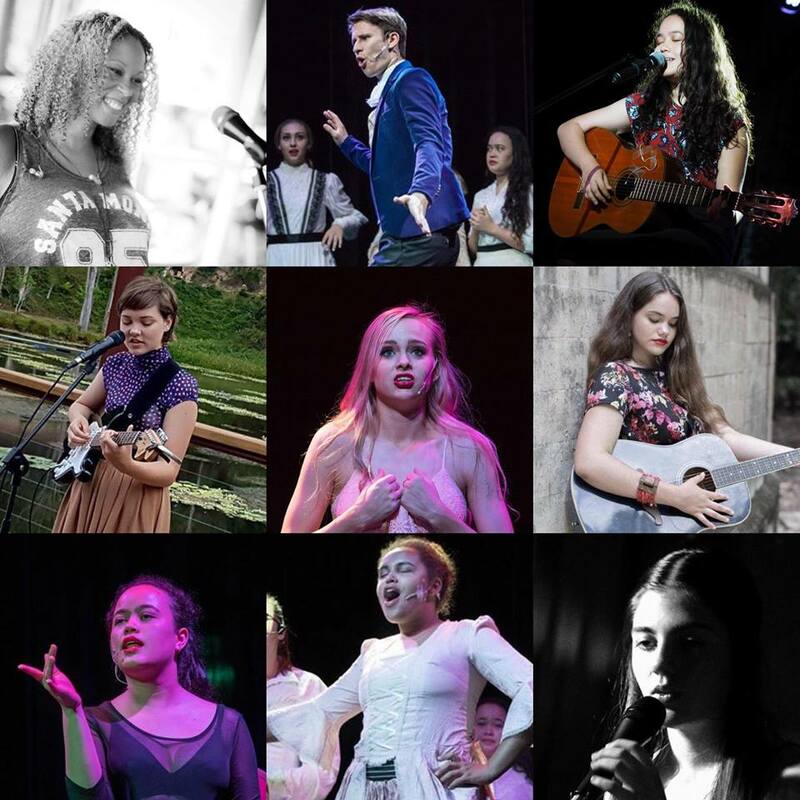 An awesome way to celebrate our young emerging artists, which we have in abundance in FNQ! It is such a privilege to continue to coach and mentor this young artist, in fact, I am learning alot from this strong, talented young woman! Thank you to Cultural Services Cairns and Roz Pappalardo for this opportunity. 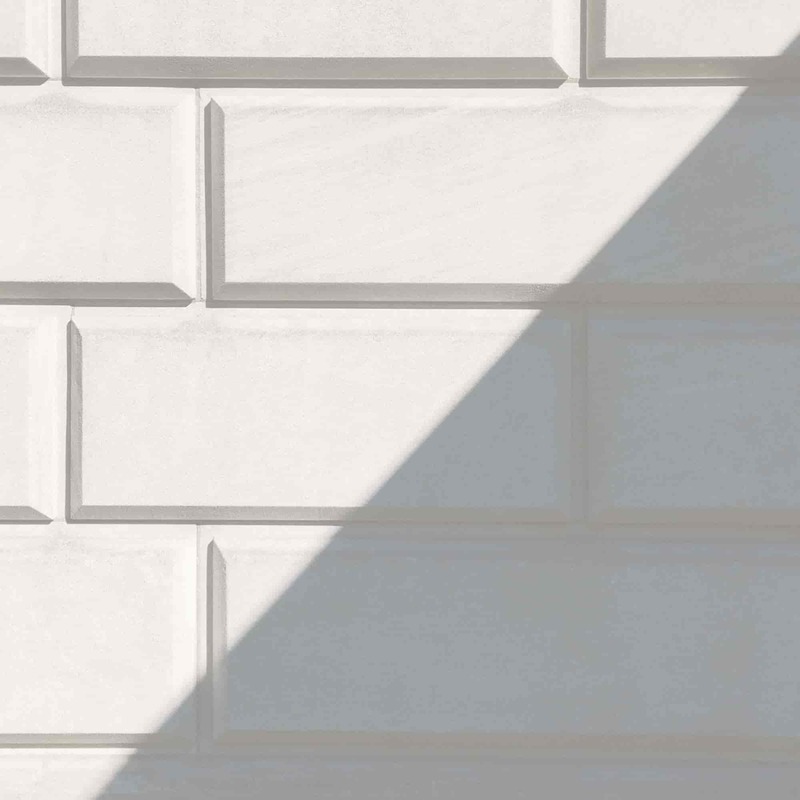 Make sure you check our the new CPAC website. Some cracking touring productions and artists, including Postmodern Jukebox 2019! 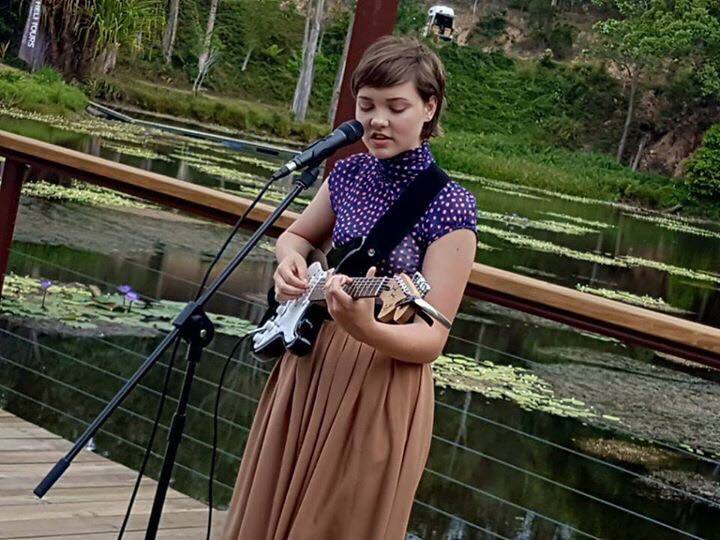 Congratulations to CVS student and emerging artist, Amber Farnan for winning the Songwriter Open Category at Tablelands Folk Festival 2018, for her song ‘Symphony For Tomorrow’. CVS students and artists, John Land, Georgia Byrne and Amber, Hollie and Jake Farnan ( Legends Of Perhaps ) performed at the premiere of A Star Is Born at Event Cinemas, Smithfield. A great evening of live music as pre-entertainment. So proud of these acting students who dealt with their fears, stepped out of their comfort zone, performed and entertained last night. It has been a pleasure to be vocal coach and MT director to the actors for this semester. Well done team! Workshops are well under way for our Musical Theatre Vocal Showcase at Elixir Bar, Sunday 4th November 5pm & 7pm. Students are working hard and embracing new material, taking them out of their comfort zone! 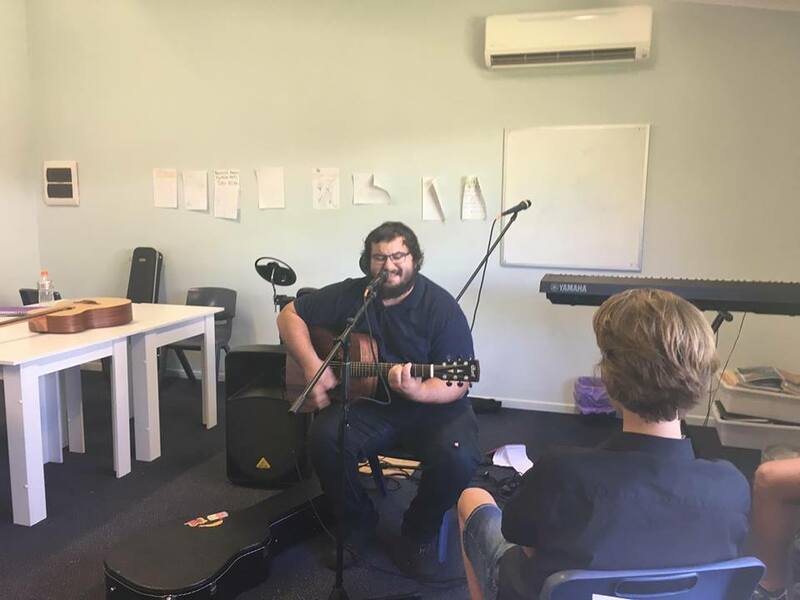 A brilliant day was had, with our Art Attack artist and vocal showcase between CQU Creative Arts music students and Cairns Voice Studio students. Five hours of wonderful live and original music on the Esplanade Lagoon Stage. Thank you to Cairns Regional Council for this opportunity, and looking forward to more in 2019! 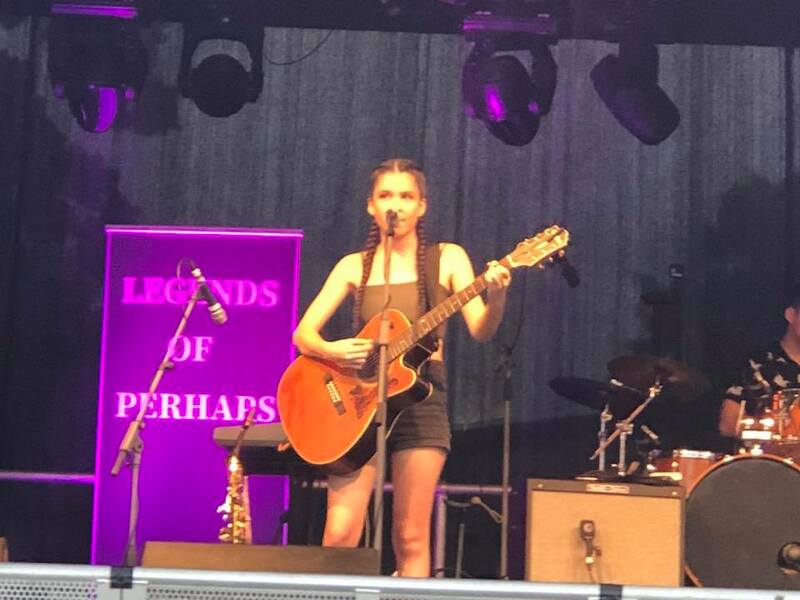 CVS student and emerging artist, Amber Farnan 15 yrs ( Legends Of Perhaps ), performing her composition with the Queensland Symphony Orchestra at Munro Martin Parklands for Cairns Festival. Proud and honoured to continue to be part of this young songwriter’s journey. Excited for this event! 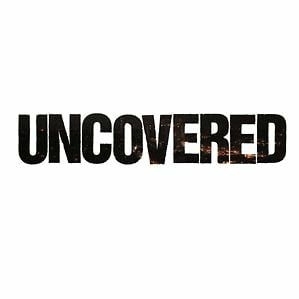 CVS students and emerging artists, ‘Legends Of Perhaps’ ( Amber, Hollie and Jake Farnan ) are performing in the Tanks Unplugged Line Up Friday November 23rd at the Tanks Arts Centre. Very proud of Clara Satzke whom I coach at CQU University Cairns who is performing too! Proud to be a continued sponsor for this fab initiative, supporting and nurturing our original music artists in FNQ. 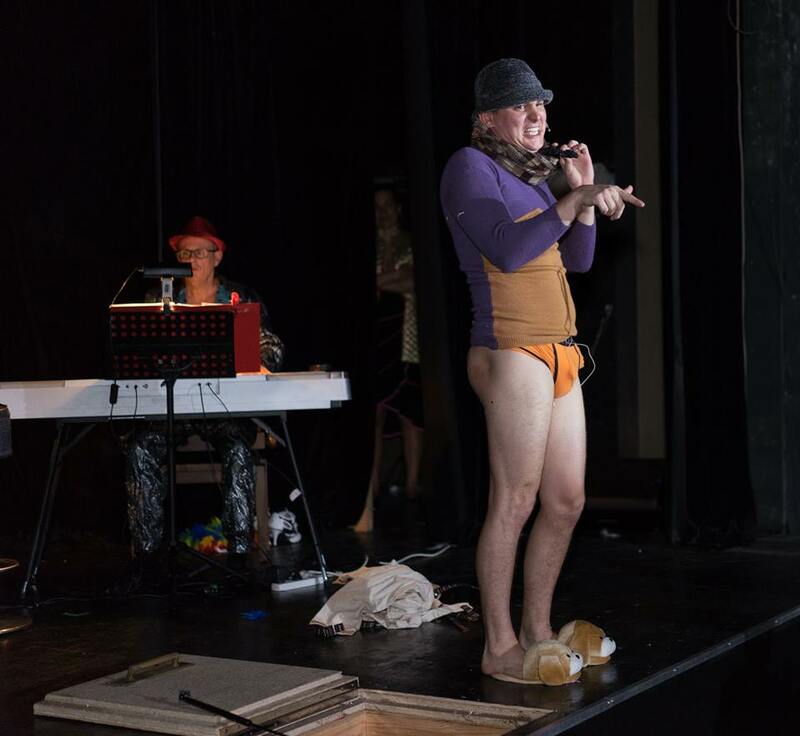 CVS artists Legends Of Perhaps and Robert Cini will be performing on the main stage throughout the festival too! We are so fortunate to have this fabulous initiative BIG SKY GIRLS to nurture and develop our young female, emerging songwriter artists. So proud of CVS student and artists Amber Farnan and Ella Hartwig for being chosen for this program. CVS artist Robert Cini performing his latest original ‘Running’ for Balcony TV. Privileged to continue to be part of this award winning songwriter’s journey. A fabulous afternoon of assessing MT solo performances with Karen Crone. CVS were fortunate enough to record Harry’s MEX performance program at CQU with Patty Preece! 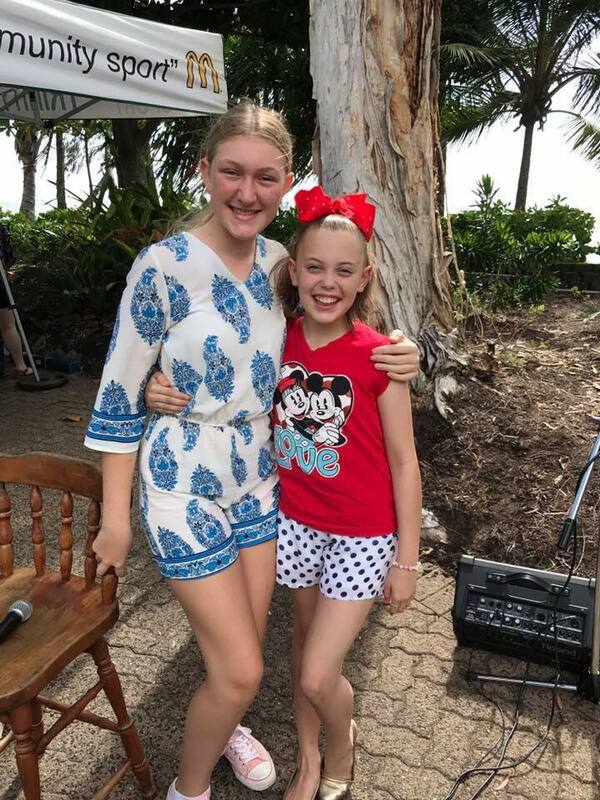 Thrilled CQU Voice and Popular Music Students Jade and Clara performed their original songs on Balcony TV Cairns. Fabulous indsutry experience! 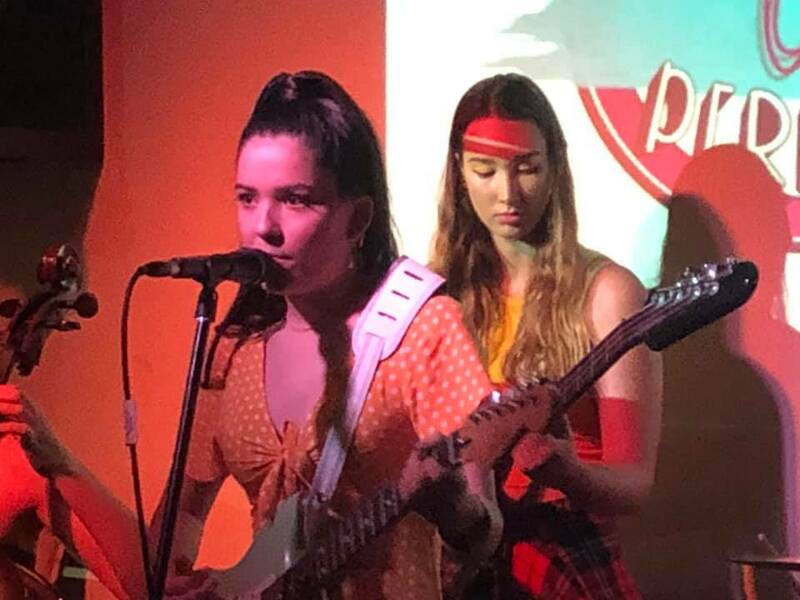 Excited and proud, CVS student singer songwriters "Legends Of Perhaps' were awarded The Amnesty International Songwriter Award for their new original 'Yellow Paint'. CVS student/artist Joshua Wendt is the opening act on the live music main stage. See you there! I am honoured and proud to be accepted on the Cairns RADF ( Regional Arts Development Fund ) Committee for music. Looking forward to nurturing our regional artists and programmes. 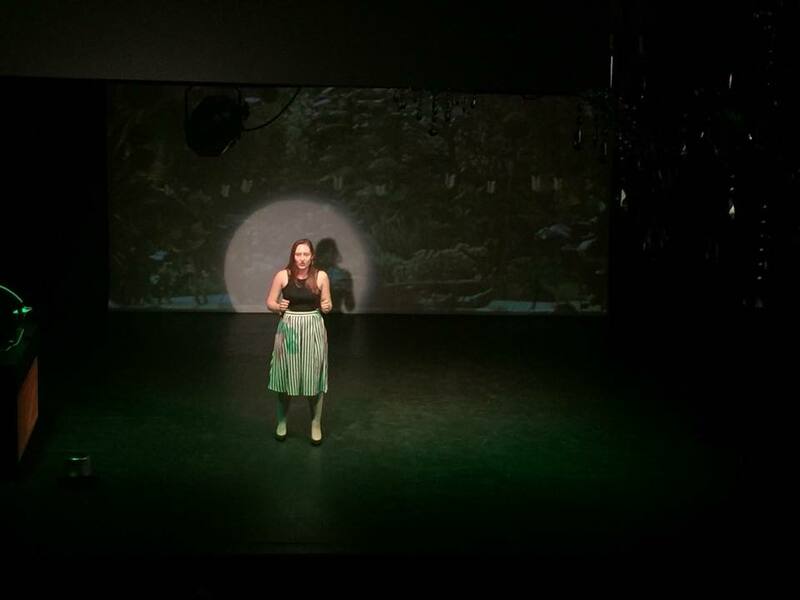 Friday evening was a special evening for Maggie Slater, as it was her first professional performance at Tanks Arts Centre, Tank 5, for Tanks Unplugged. Tanks Unplugged is supported by Cairns Cultural Services and Tanks Arts Centre, showcasing Cairns original music talent. So proud to continue coaching and mentoring this sibling band Legends Of Perhaps. They sang and performed a storm for Festival 2018, celebrating The Commonwealth Games. Another fabulous monthly vocal performance night at Elixir Live Music Bar. 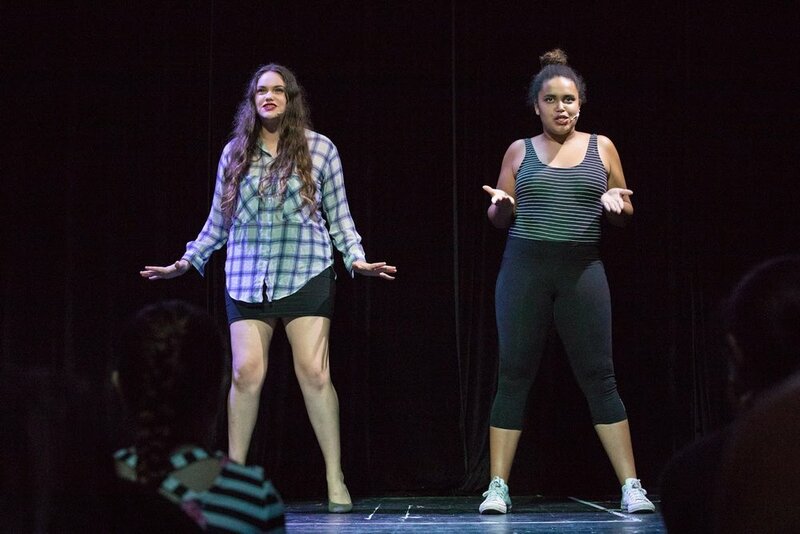 CVS students and CQU University students performed an eclectic mix of musical theatre, rap, originals, folk and pop! 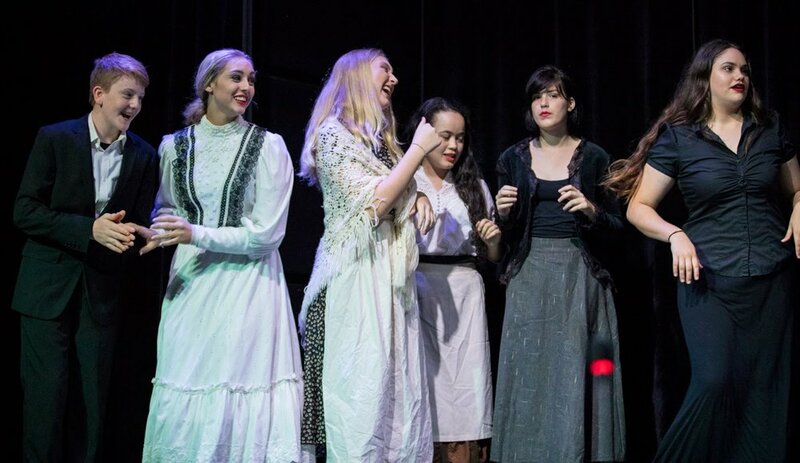 Congratulations to CVS students and artists Yasmin Lancini, Andi Egan successfully cast as Elphaba ( shared ), Imani Williams and Emily Hapea in Esnemble. Very proud! Great live interview this morning promoting THE BIG SING with Andi Egan and Drew Brauer! 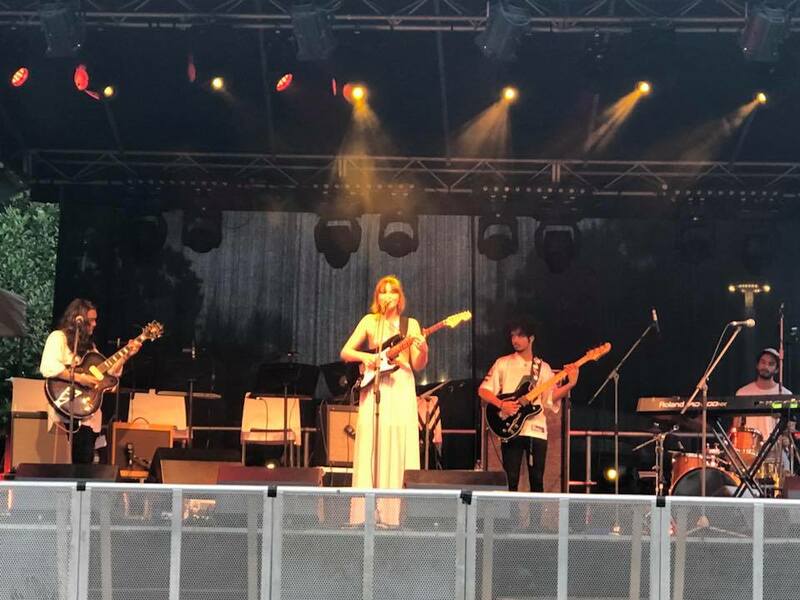 CVS student and songwriter Maggie Helena performed her first professional gig as support act for Kate-Miller Heidke on the live music stage for Festival 2018. So proud of the 16yr old artist. A beautiful lyricist and storyteller. This week just gets better. 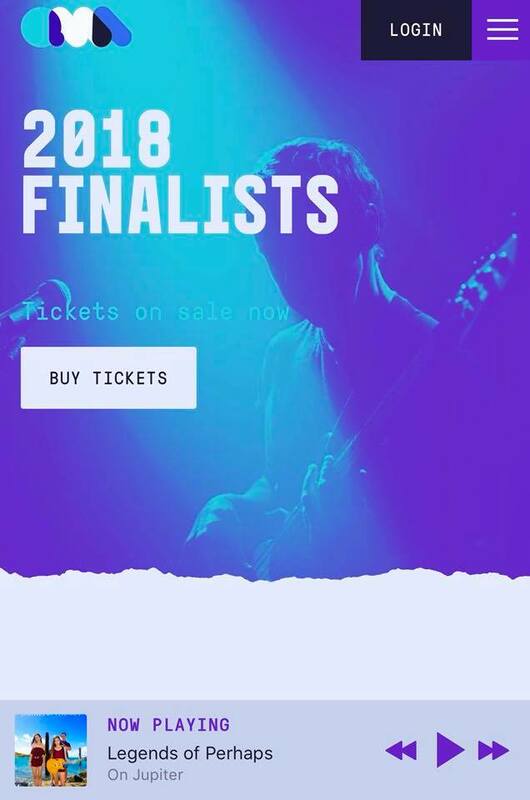 Legends Of Perhaps are finalists for QMUSIC Awards in teh Schools Category. So proud of these hard working and creative artists. Congratulations to Greta Stanley and Mayah ( CVS Alumni ) who are finalists in Regional and R & B Categories. So proud of Amber, Holly & Jake - Legends Of Perhaps who have been awarded the Mentor Session with Tom Busby from award winning Busby Marou. It continues to be a privilege to mentor and vocal coach this emerging band from Cooktown. Their hard work, creativity and dedication to the craft and music is so worthy of this award. 'We are pleased to announce that Legends of Perhaps have been selected to receive the Mentor Session with Tom Busby from Aria-topping Busby Marou. Well done guys, and congratulations to Busby Marou also for last night winning an APRA music award. So proud of Amber, Holly and Jake Farnan who performed a fabulous 45 minute set of their originals for Festival 2018. 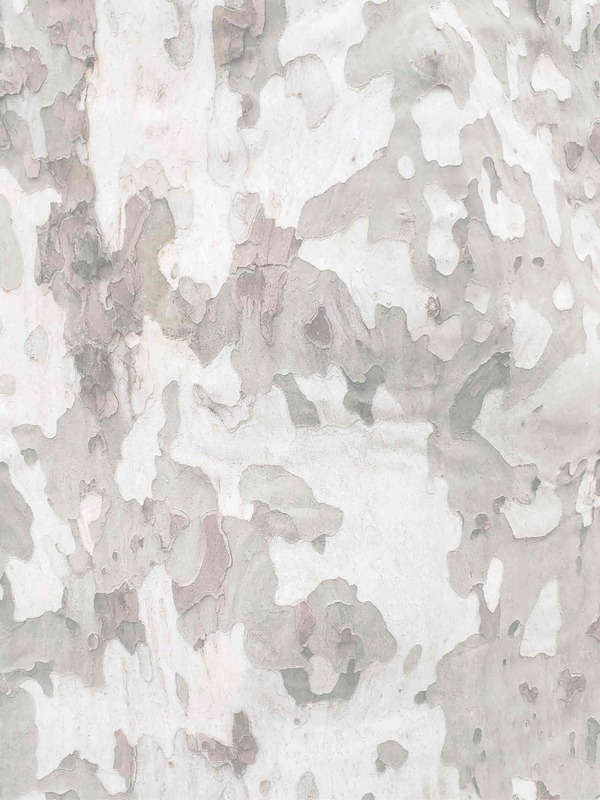 Such an honour to support award winning artist Leanne Tennant. Thank you to Cultural Services and Cairns Close Contact Music Industry for the opportunity. Great fun on Vivi Rockette's Heart & Soul Programme , Cairns 89.1FM cahtting bout THE BIG SING with Drew Brauer. Thanks for having us!
. The score composed by Rubina Kamila is really fabulous! A must see! Another fabulous night at our monthly vocal performance night at Elixir Live Music Bar. 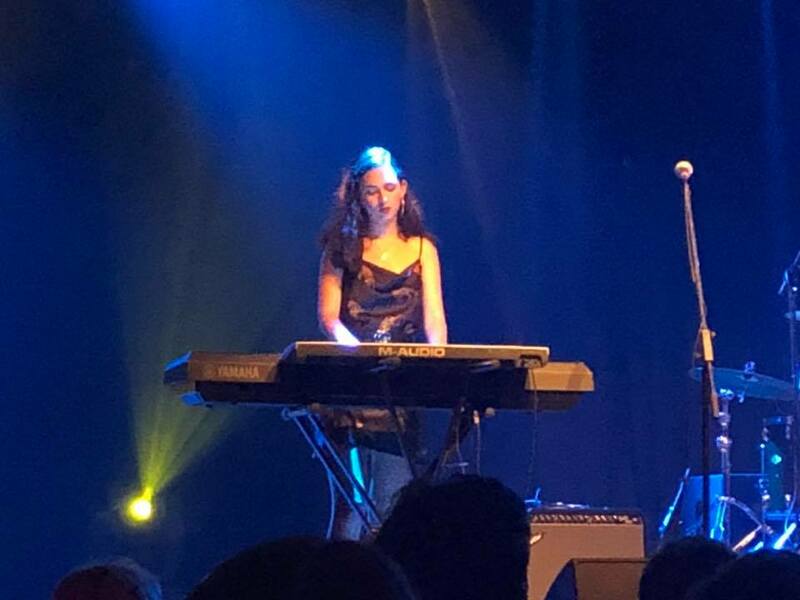 Super proud CVS student and songwriter Maggie Slater ( aka Helena ) is performing at The Tanks Arts Centre for Tanks Unplugged with Handles and Jordan De La Cruz. It's going to be a great night of original music. Thank You to Cairns Close Contact Music Industry and Cultural Services for this opportunity. Keesha is an inspirational, highly experienced singing teacher. I cannot recommend her highly enough. My only regret is that I did not sign up for lessons with Keesha years ago! When I went along for my first lesson I naively thought that I might immediately come away with a golden tip from my new coach which would improve my voice. 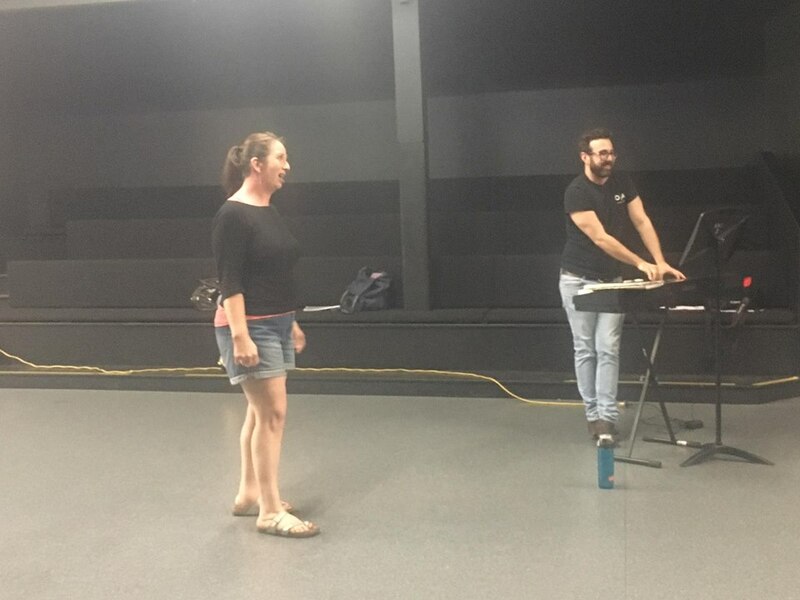 As it turned out I wasn't being so naive because even on that first session, Keesha armed me with a couple of amazingly powerful vocal exercises. My friends and family commented how there was an immediate, very noticeable improvement in my vocals. I have always been the composer, piano player in my various bands and projects. Keesha, through her open minded approach and highly individualised lessons has coaxed the singing performer from within me. I always had confidence to perform, but, in the past only as a musician. 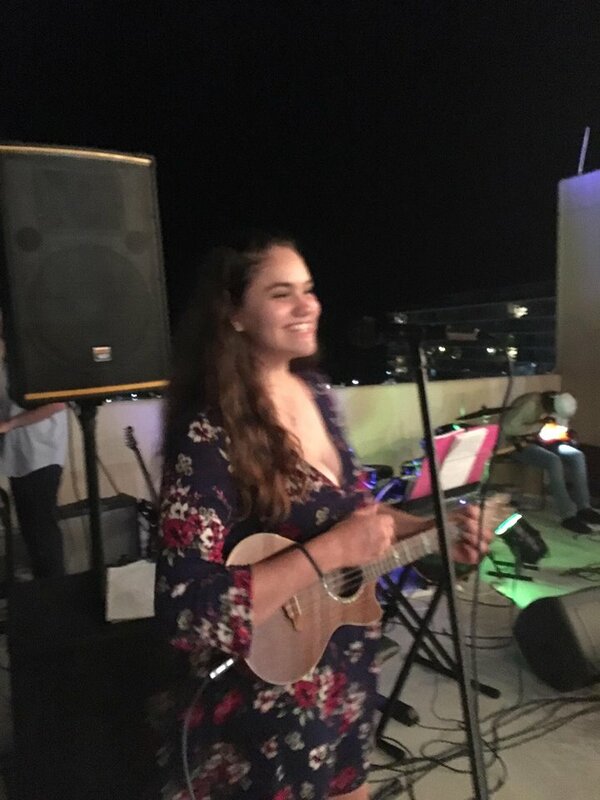 Now I'm thoroughly enjoying getting out there doing vocal perdormances at paid gigs and open mic nights with the confidence she has instilled in me. If you're thinking about getting lessons for yourself (or your children), you can do no better than Keesha. She gets 5 stars but I would give her a 10 if I could! A super event in Celebration Of World Voice Day. Share the Vocal Love and give it a GO! 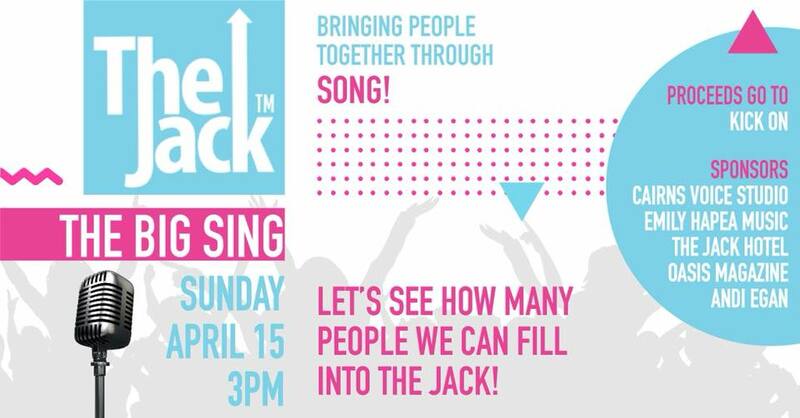 THE BIG SING - BRINGING PEOPLE TOGETHER THROUGH SONG! In celebration of World Voice Day, come along and sing your heart out for a fabulous cause. All you need is a passion for singing and to GIVE IT A GO! No experience required. Two well loved iconic rock anthems will be chosen for you to learn on the day in two part harmony. All profits made on the day will go to KickOn, working to eradicate Youth Suicide in Cairns. Proudly presented by Cairns Voice Studio, The Jack, and Oasis Magazine and featuring Emily Hapea Music, local rock legends Dr. Elephant and MC Extraordinaire, Andi Egan you do NOT want to miss this event! 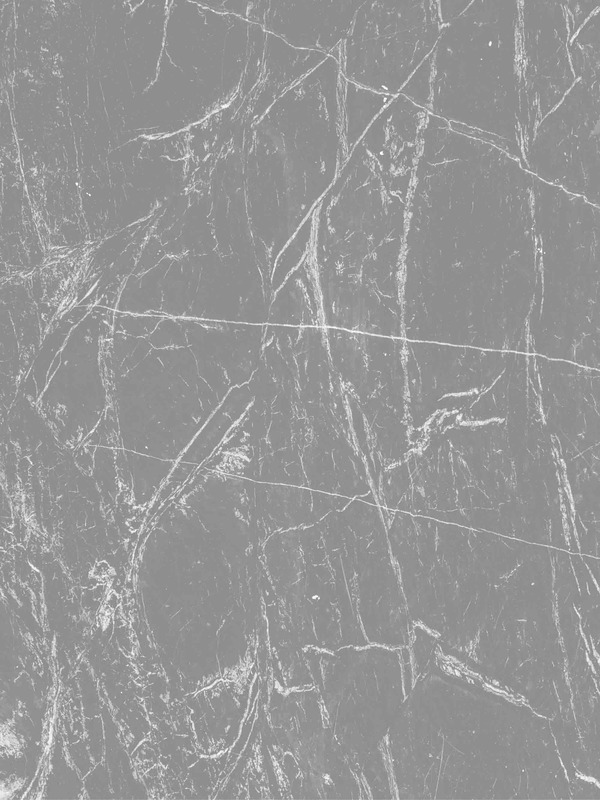 Our two classic rock songs will be revealed very soon! Come on, #Cairns - Let’s see how many people we can fit into The Jack Cairns! 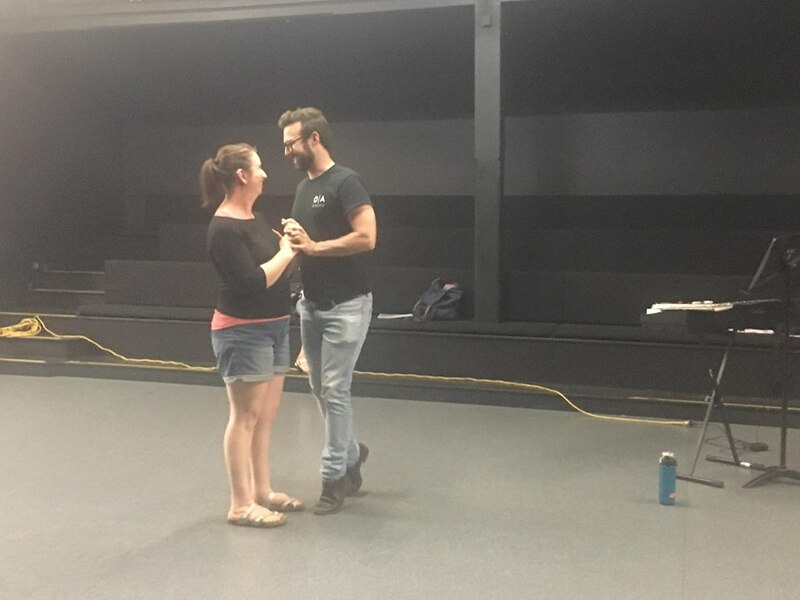 From March 2018, I will be lecturing in Voice and Musical Theatre for The Creative Arts Bachelor Degree Course, Cairns. Looking forward to this challenge and being part of the CQU community! Honoured to be invited as vocal coach for this community musical production 'New Beginnings' for The Commonwealth Games Festival Cairns. Proud and excited CVS students and songwriters Maggie Helena and Amber Farnan ( Legends Of Perhaps ) supporting award winning artists! 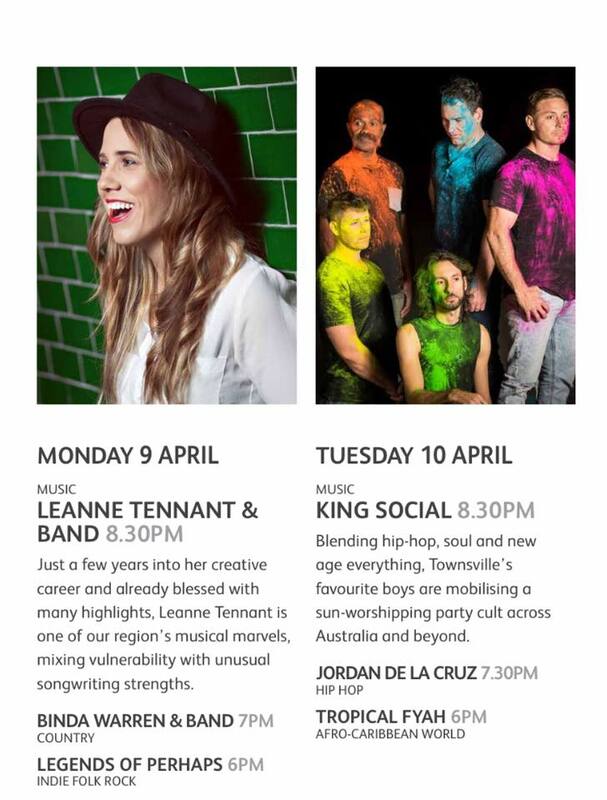 Maggie will be supporting Kate Miller-Heidke and Amber Farnan ( Legends of Perhaps ) supporting Leanne Tennant. The entire entertainment programme is FREE! 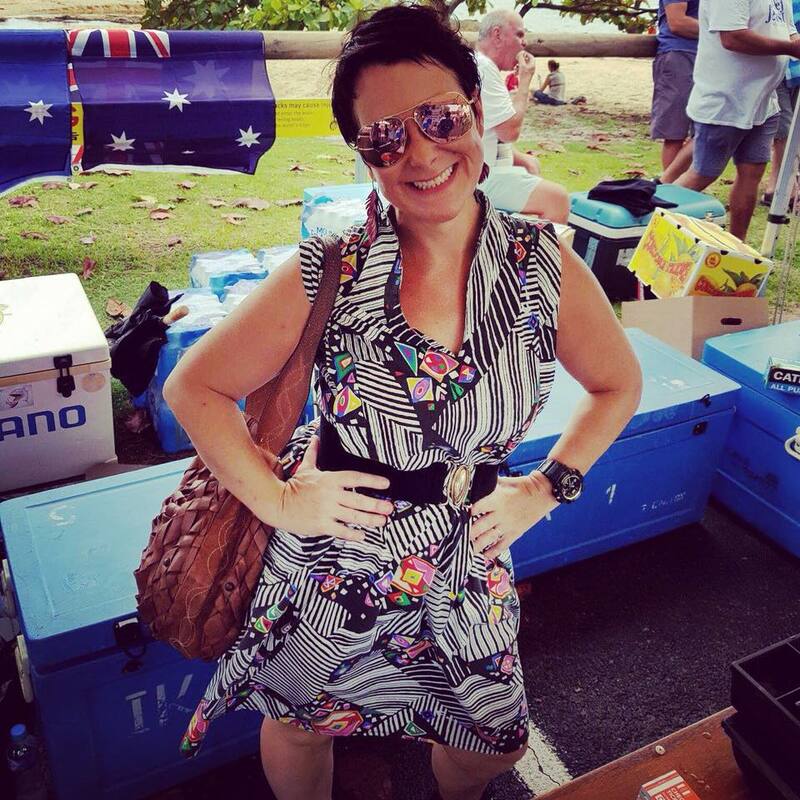 Proud of the community and unity spirit we created for Australia Day at Palm Cove. Great live music, with Tjapukai performing too. CVS artists Robert Cini, The Geckos and students Imani Williams & Maddi Cooper performed a storm with The Bradleys and Adrian Thomas & The Executives. 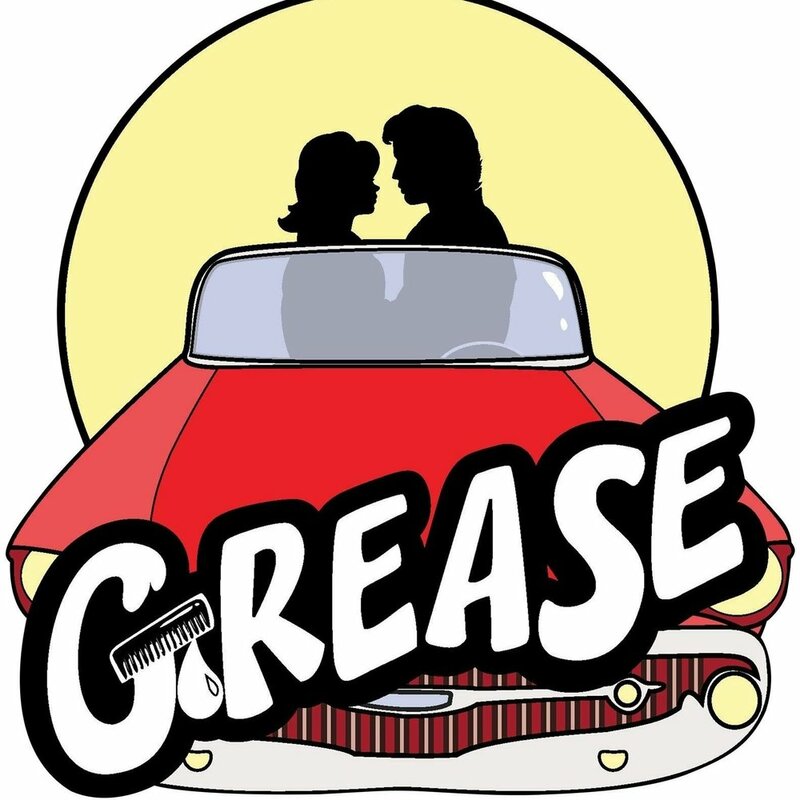 Congratulations to CVS students cast in the following roles, Giulia Bortolanza - Marty, Maddi Kincade - Patty and Darcy Maher - Eugene for Grease The Musical with Cairns Choral Society! CVS would like to Thank You for all your support throughout 2017. We are ready to roll for 2018 from 8th January with many exciting opportunities ahead. Dale Archibald and her new band performed at Elixir. Proud! Live Music & Tapas Bar this week. A band to watch around Cairns for 2018! A fabulous and inspirational week working with Stephanie and Gerald Marko from The Voice Gym on my third Level 1 & 2 Estill Course. Voice professionals together delving into the rabbit hole of voice science. A continual and evolving journey. 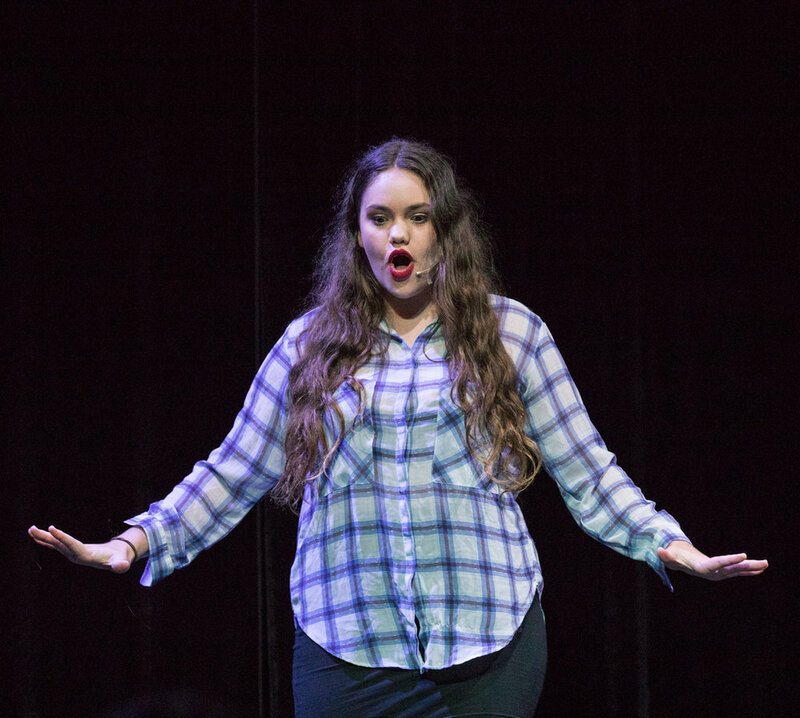 Imani Williams 17yrs performing 'She Use To Be Mine' from the musical WAITRESS for our MT Vocal Showcase at Cairns Dinner Theatre. Maggie Helena 16yrs performing her original 'Mind Reader' on Balcony TV. Super proud of this young singer songwriter and her musical journey. 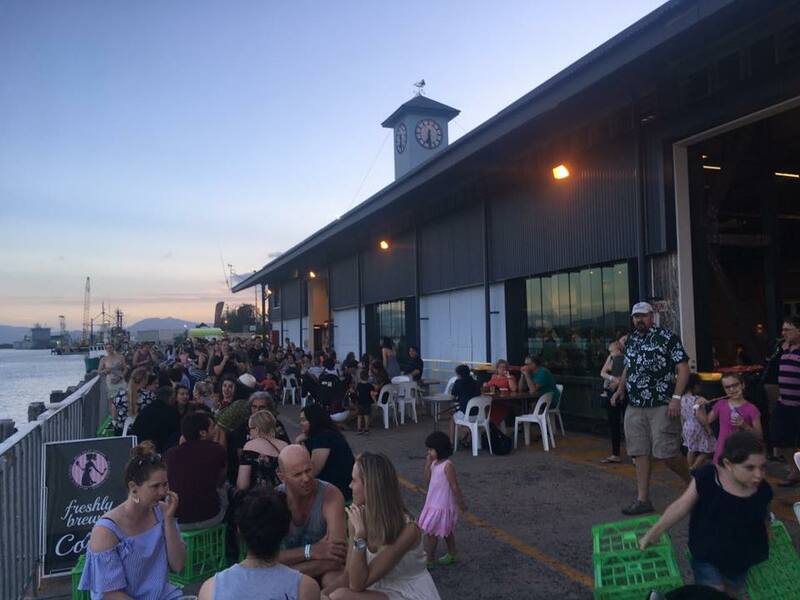 Fork Ahoy was Cairns On A Fork's First Anniversary and what better way to celebrate that to have this fab event at Cairns Cruise Liner Terminal. CVS artists and students performed. Very proud to continue to be involved in this great community event! 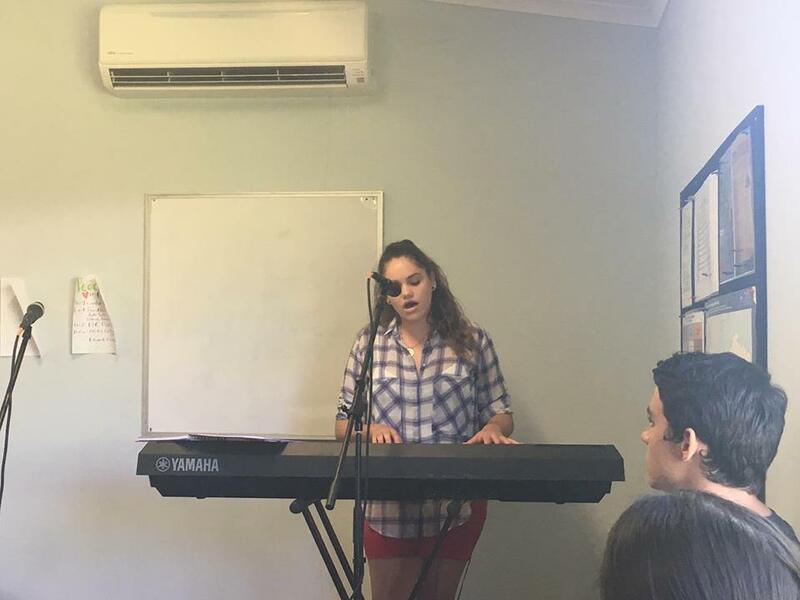 Congratulations to Mia Bolger who successfully auditioned for Bachelor Of Popular Music Programme, Griffith University, Brisbane and Imani Williams successful in her audition for Bachelor Of Creative Arts ( Popular Music/Voice ) at CQU University Cairns. So proud of Megan McDowall performing her first originals gig at Tanks Unplugged, at the Tanks Arts Centre. A fabulous evening of great local artists including The Taste and Machine Machine. 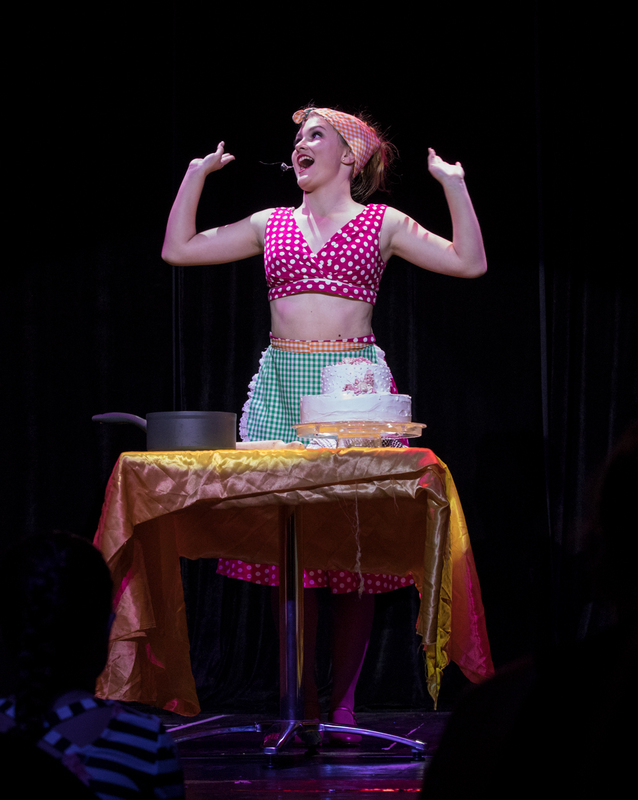 CVS students performed two showcases at Cairns Dinner Theatre, Pullman Reef Casino. Incredibly proud of their dedication and commitment to their vocal craft and perfromance! 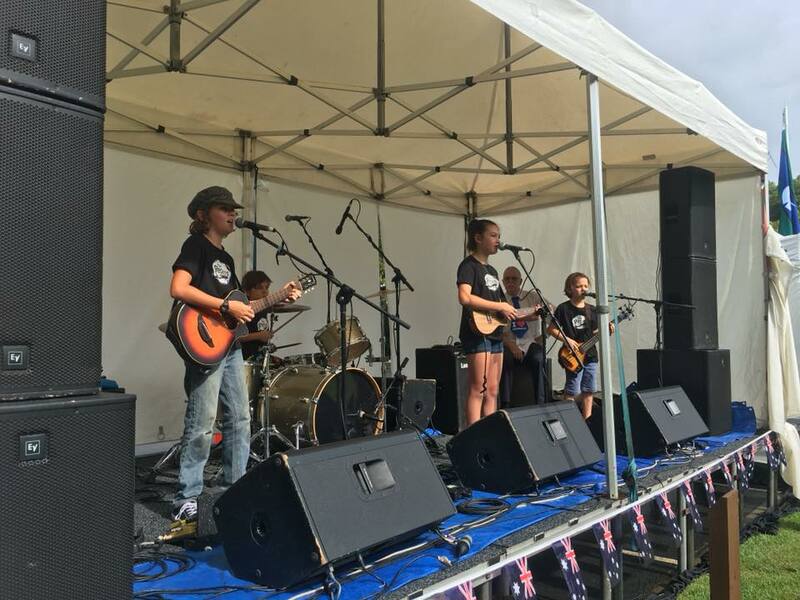 CVS students had a ball performing on the youth stage and busking through the weekend. A fabulous turnout for Sunset Soiree's Opera du Jour at Alamanda Chapel, Palm Cove for Reef Feast. Soprano Louise Sadler and Mezzo Sopano Emily Hapea performed a stunning programme! CVS Vocalists and Singer Songwriters Maggie Helena and Kimberly Cooper performing on Balcony TV. Excited to announce Megan McDowall will performing at TANKS Unplugged Friday 17th November with Machine Machine and The Taste at The TANKS Arts Centre. 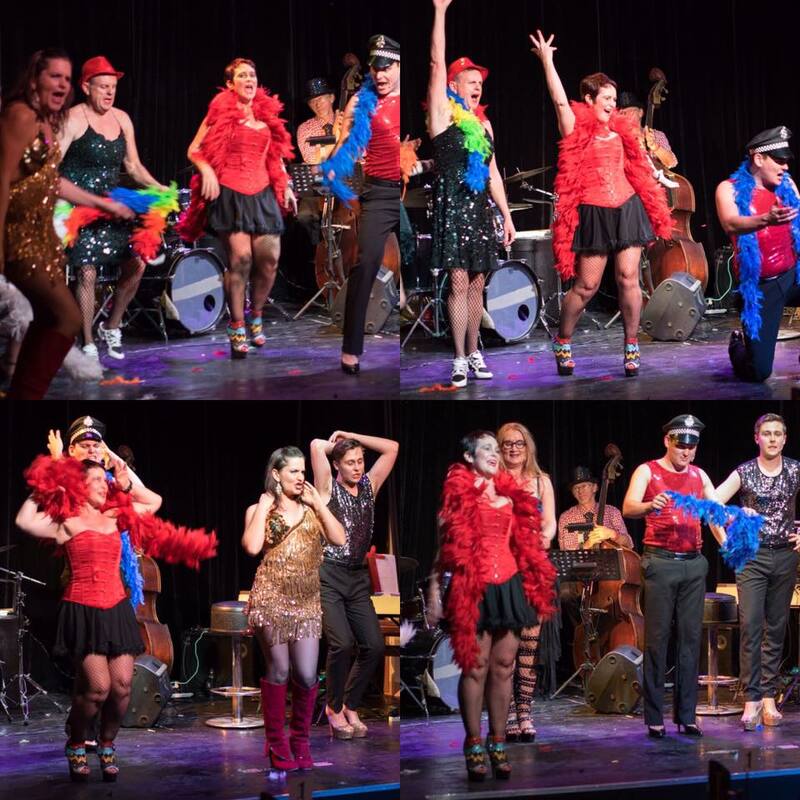 Spice Of Life Cabaret at Cairns Dinner Theatre, Pullman Reef Casino was a three night sell out to fab reviews. Thank you to all who came and supported the show. Watch this space for a re-run! An inspirational morning with Opera Australia cast and conductor Simon Kenway. Cast and crew talked about their career journey and everyone participated in operatic vocal technique and style with Simon Kenway. Cast sang for everyone too! 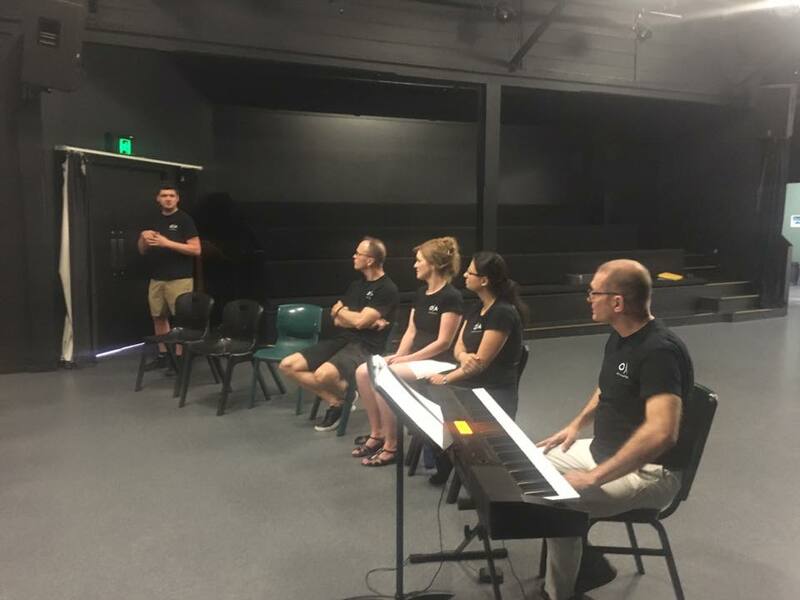 Voice & Performance Masterclass with Josh Konkelenberg, Chorus Master Opera Australia. A fabulous afternoon of vocal fun with Opera Australia's chorus master, Josh Konkelenberg. A wonderful turnout. Legends Of Perhaps ( Holly, Amber & Jake ) being interviewed for ABC Far North's Drive Time Show! 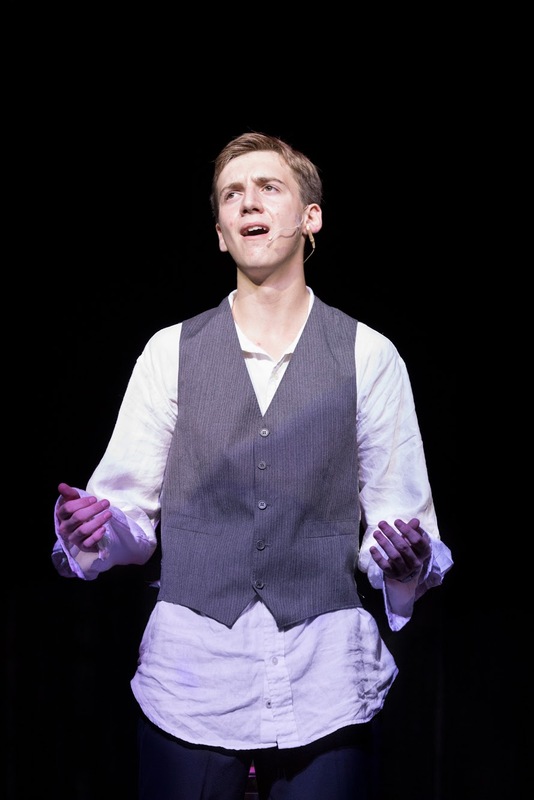 What a fabulous turnout for Josh yesterday at The Mclaughlin Theatre. 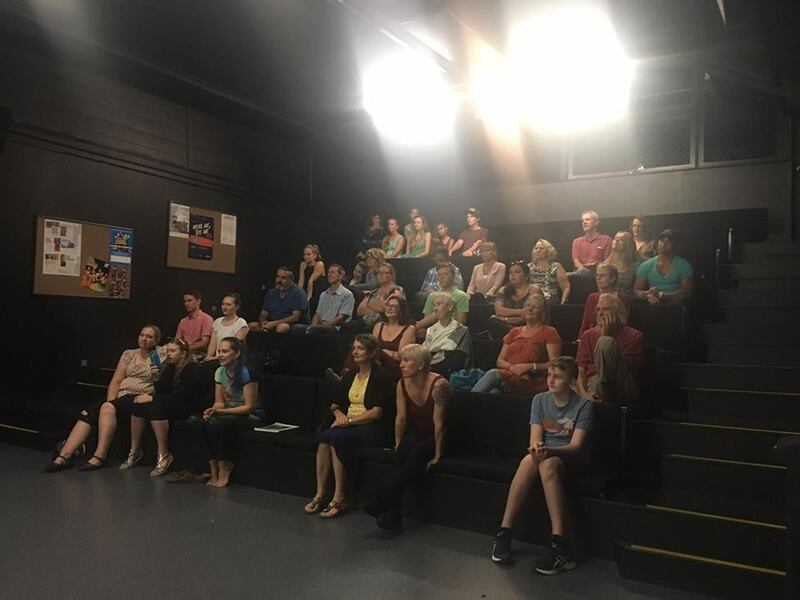 Over 35 people of all ages came to enjoy a fab 90 minutes Masterclass about voice and performance. Mia Peled Bolger 17yrs on Balcony TV with her original 'Man'. Legend Of Perhaps recording first EP with Mark Myers at Big Sister Studio and Filming. So proud of this young sibling band from Cooktown. It is an absolute pleasure to coach and mentor them. 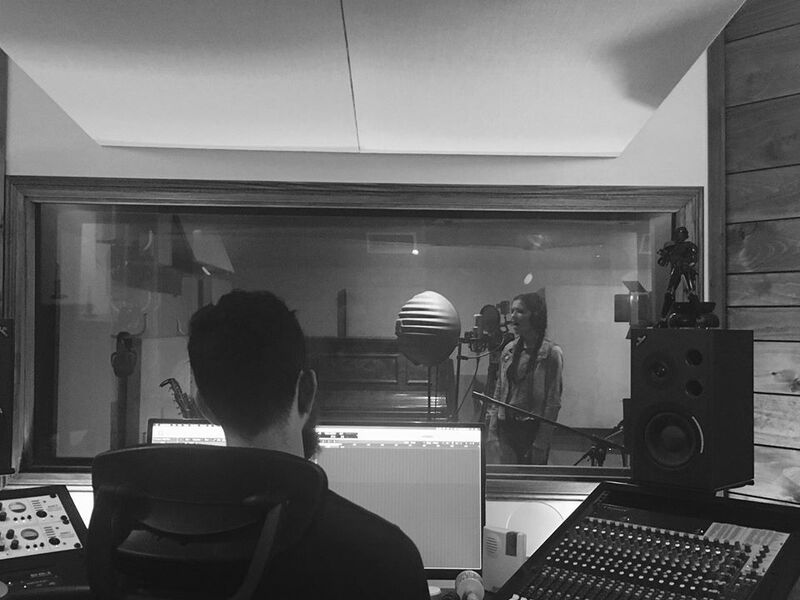 This week they have been recording their first EP with Mark Myers at Big Sister Studio and filming for their music videos with the incredible Nalli Kreature Makeup Artistry. This opportunity would not have happened without the support of RADF Grant. Arts Queensland and Queensland Government. Legends Of Perhaps will be performing on Balcony TV in August. Young singer songwriter students Megan McDowall and Joshua Wendt performed on The Tanks Markets Songwriter Stage today. A lovely crowd for them to perform their originals to. 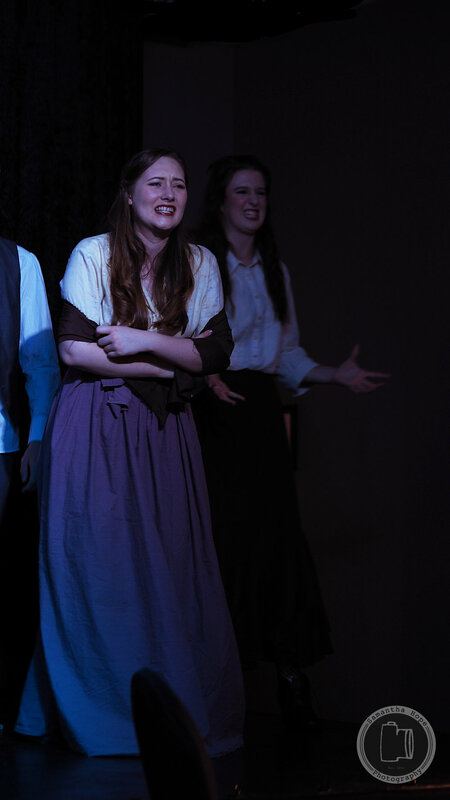 So proud of student Maia Phillips from 'The London Years' who is pursuing her dream in Musical Theatre. CVS students had the fabulous opportunity to perform their original music on Balcony TV Cairns today at Kuranda Billabong! Stay tuned for Josh and Mia's music video on Balcony TV very soon! 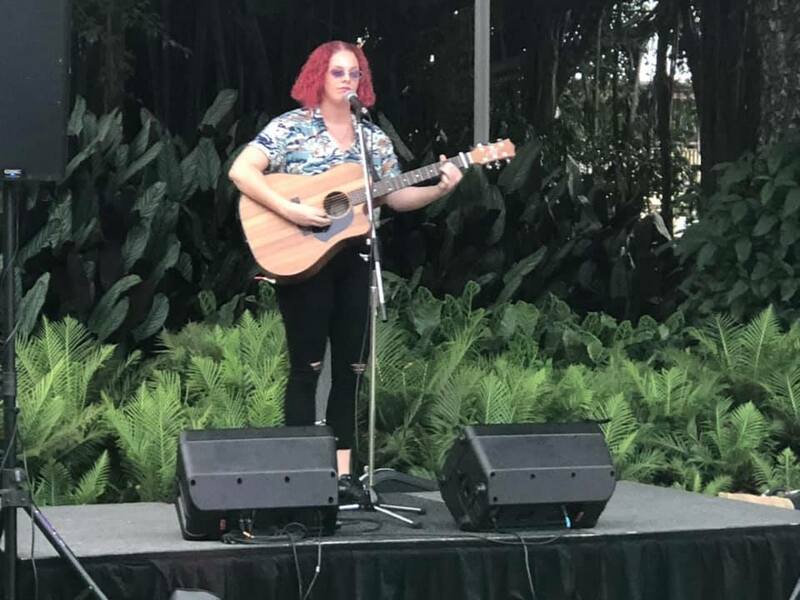 CVS Young Songwriters Legends Of Perhaps performed a storm at Palm Creek Fold Festival winning the Open Songwriter Category with 'Jupiter' and second in The Amnesty International Category for '2 Degrees'. 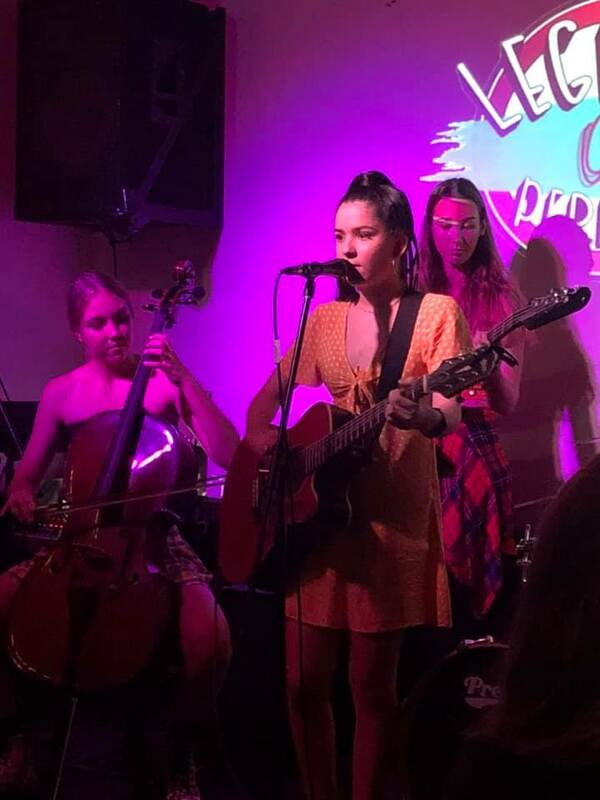 CVS young singer songwriter Maggie Slater performed her originals at Uncovered at The Elixir Bar, Abbott Street tonight. Very proud of this 16 year old! 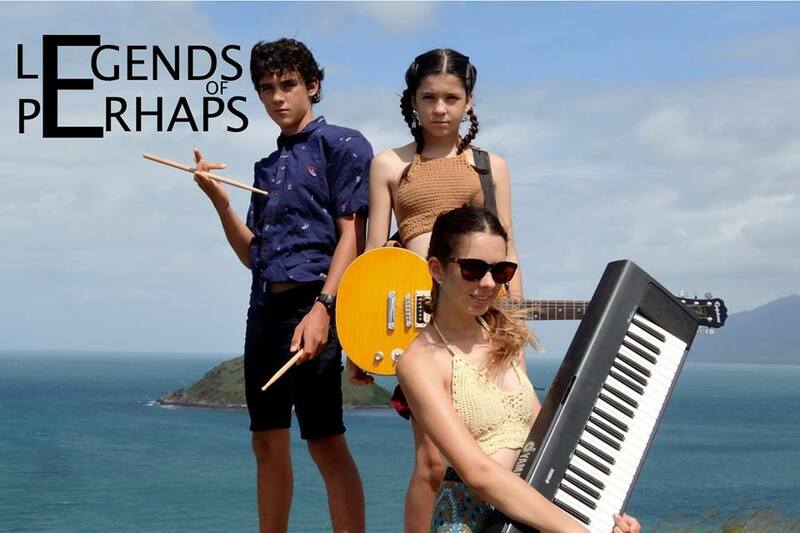 Congratulations to Cooktown sibling band Legends Of Perhaps, who are successful recipients of a RADF Grant to support and fund their first EP recording. Legends Of Perhaps will be recording their EP with Mark Myers at Big Sister Studios. This is awesome! So clear to see how our mechanism works. I have kept this quiet until now. Proud to be a finalist in CBWC Cairns Business Woman Of The Year Awards 2017. Thank you to all who continue to support what i do. You know who you are and I'm eternally grateful! 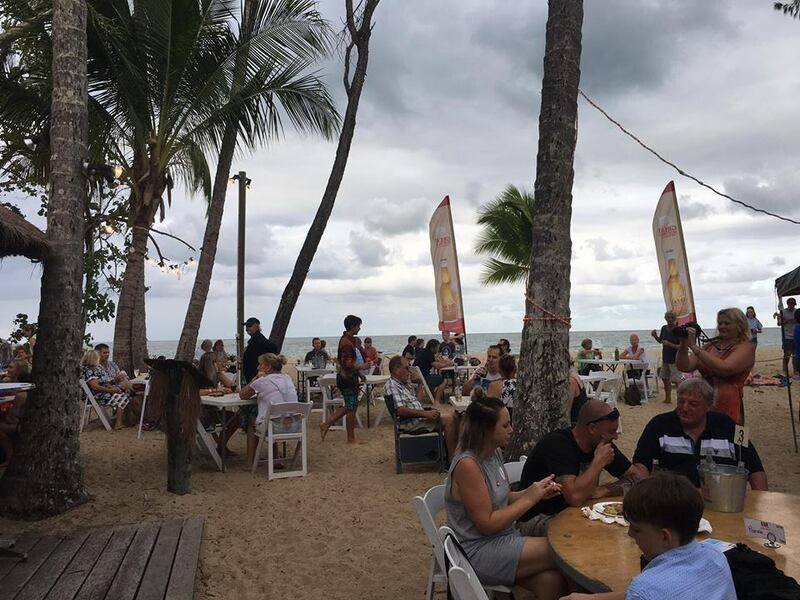 A fabulous day today at Apres Beach Bar & Grill, Palm Cove celebrating Easter and World Voice Day! 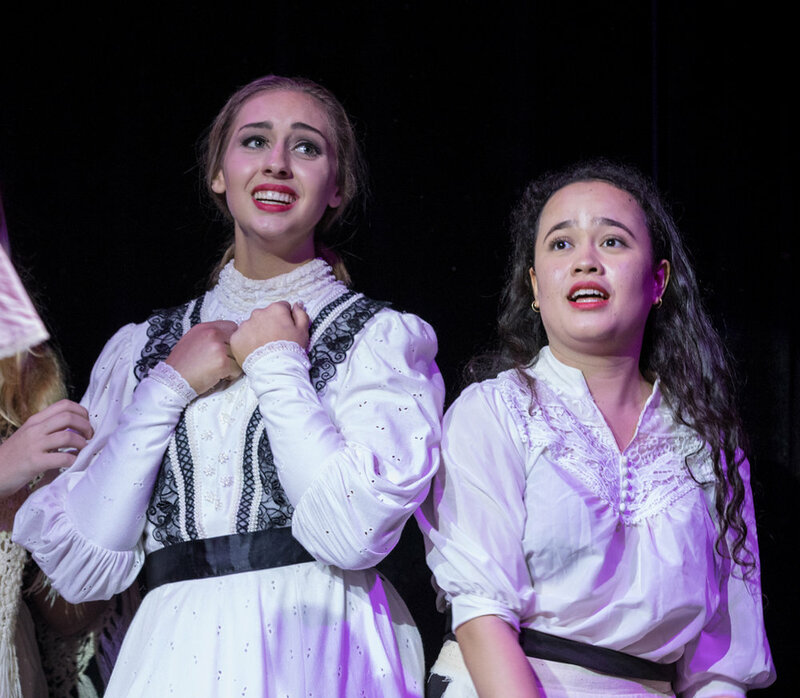 Students Zoe Pertiwi, Mia Bolger, Megan McDowall and Maggie Slater performed a storm. A beautiful day! 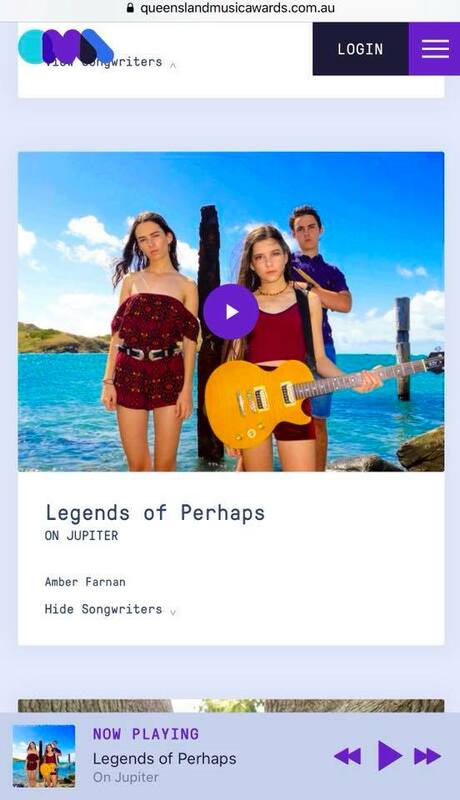 Cooktown sibling youth band Legends Of Perhaps latest original On Jupiter. Love working with this talented and dedicated bunch! Mia Bolger and Megan McDowall performed their first gig at Apres today. They have been asked to come back for regular Sunday Sessions. Happy Days! 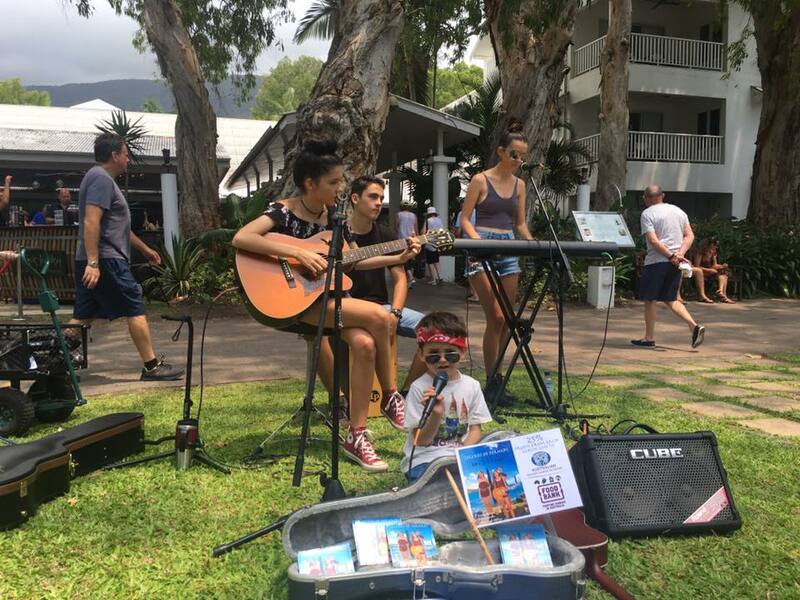 CVS students performed and busked at Cairns On A Fork to a fabulous crowd! An inspirational, informative and 'grassroots' day with award winning artist Leanne Tennant and professional freelance musician Enzo Russo about songwriting and the music industry. Students performed their originals to each other. A fabulous day and looking forward to many more! A fabulous afternoon co-hosting with Vivi Rockette and interviewing live Katie Jay and Victoria Boxall on Cairns 89.1FM for 'Women In Music' programme for International Women's Day. 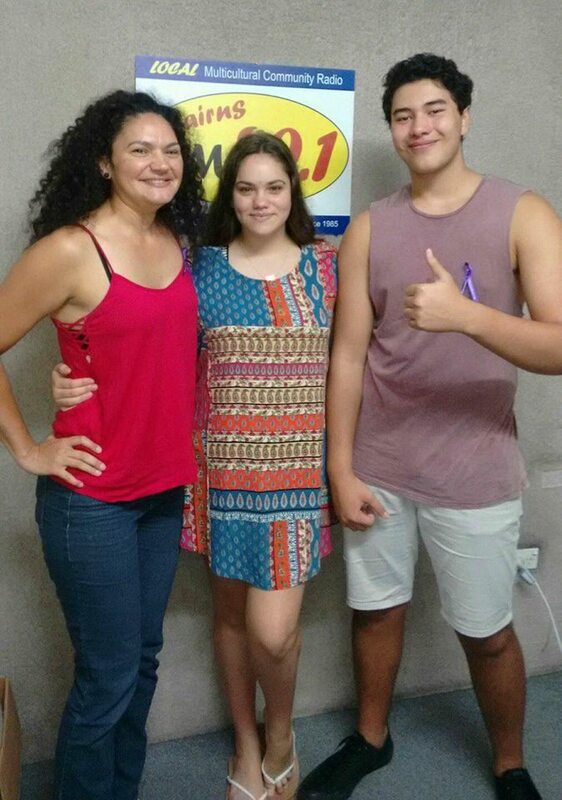 An awesome morning interviewing Kirtley Leigh with Vivi Rockette for our programme Women In Music for International Women's Day 8th March 2-4pm Cairns 89.1FM. 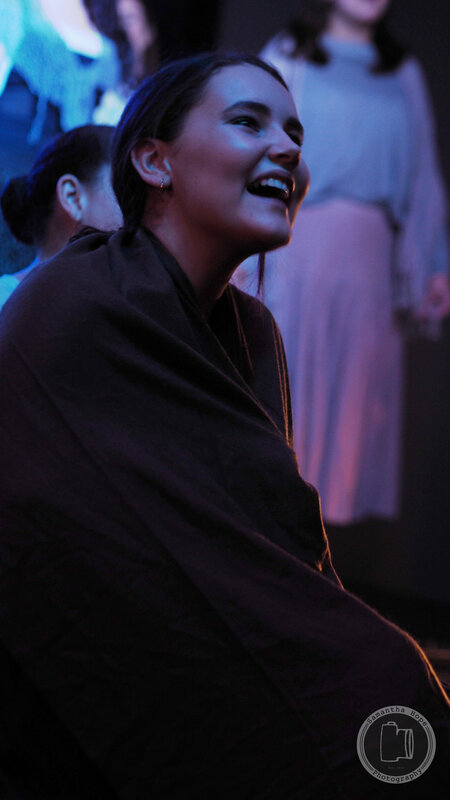 Love Kirtley's infectious energy and passion. Thrilled professional freelance musician Enzo Russo is to join Leanne Tennant to workshop with our students 11th March. Enzo is extremely busy working with some of Australia's best original artists including Busby Marou, Leanne Tennant and Sahara Beck to name a few! So proud and thrilled for Brealyn Sheehan who received Highly Commended in the Jazz Category for her first single 'Forbidden Fruit'. I have so enjoyed working with you and what a fabulous start to your new journey in Brisbane. Proud of Marguerite Clark ( Mae Brooks ) who has overcome many fears to pursue a career as an R&B Singer Songwriter. Marguerite will be heading to the US after finishing her Medical Degree! A fabulous day course with Anne-Marie Speed and Ed Blake at Bishopsgate Institute, London on Breath and Support when vocalizing. We only need to use very little breath to produce sound. Overuse and over activity of the abdominal muscles and diaphragm causes negative impact and efficiency on our larynx. I am thrilled to announce Leanne Tennant will be conducting a songwriting workshop for senior students 11th March 10am - 4pm. Guiding and inspiring students in their songwriting journey. There will be special guest speakers too TBC. 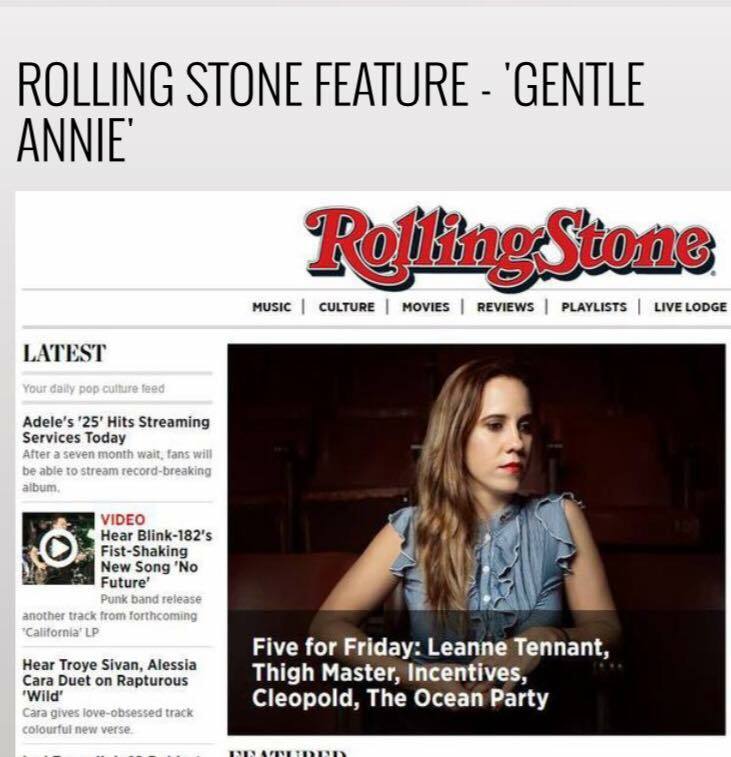 Leanne is a serious up and coming Australian artist who won the QLD Music Awards for best Blues and Roots artist, nominated for Australian Artist Of The Year- AU review and featured in Rolling Stone Magazine. 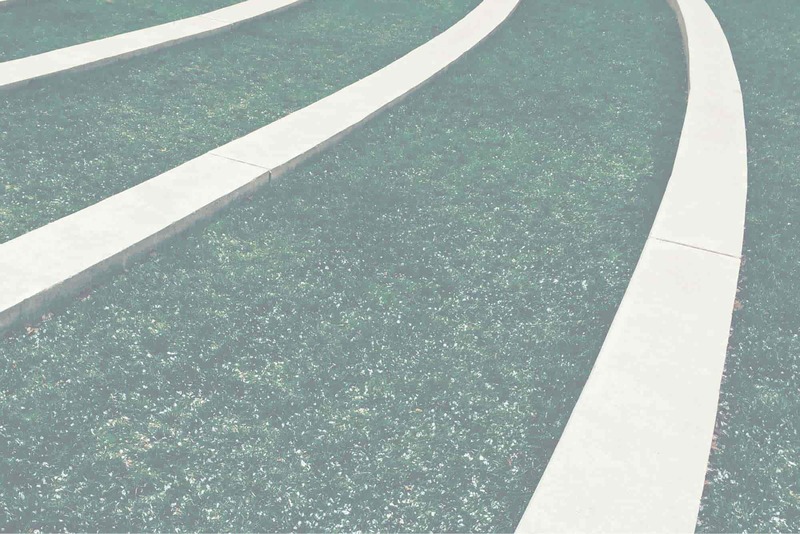 We are excited to announce our 2017 Mentor Programme for senior students. This is something i have wanted to implement for some time. Throughout this year students who are part of the programme will have opportunities to work with industry professionals, participate in 'in-depth' workshops, voice craft and necessary performance experience. 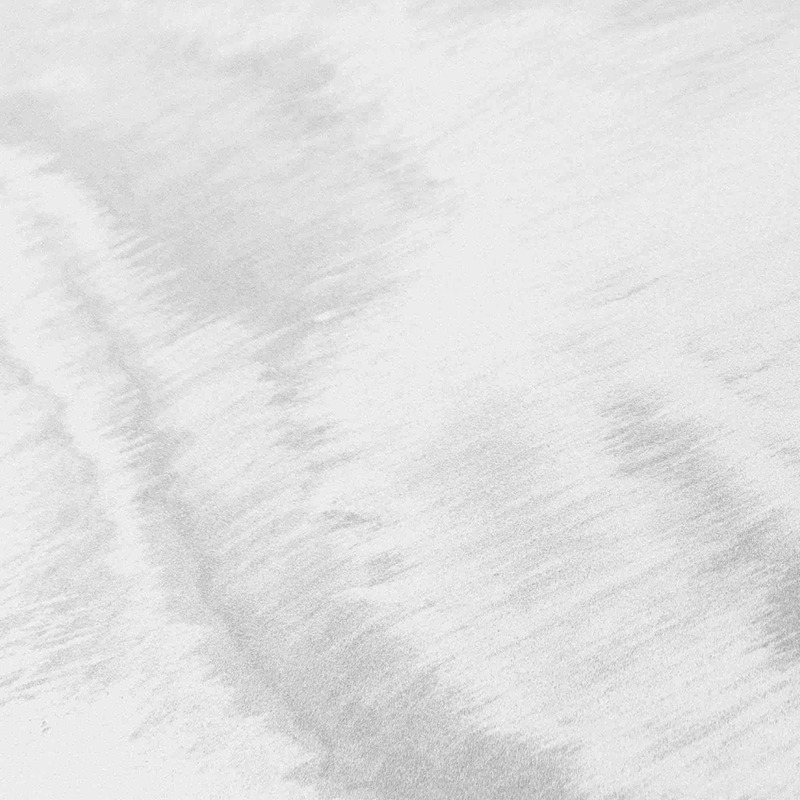 More to announce very soon. 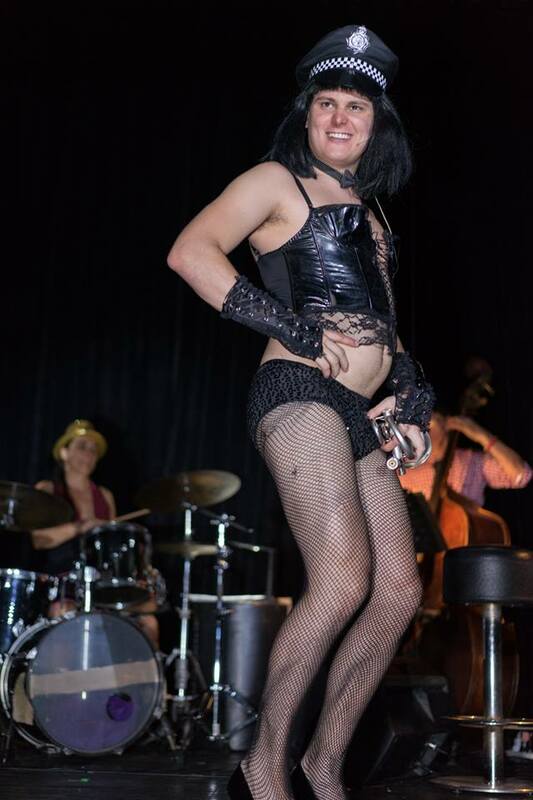 Excited to announce my first cabaret in Cairns 'Spice Of Life' at a venue TBC. A gritty, witty, hilarious evening of entertainment about life situations and emotions. Currently auditioning for performances in June. What a fabulous evening. Sold Out and students had a ball entertaining everyone. Raising awareness and money for YAPS. 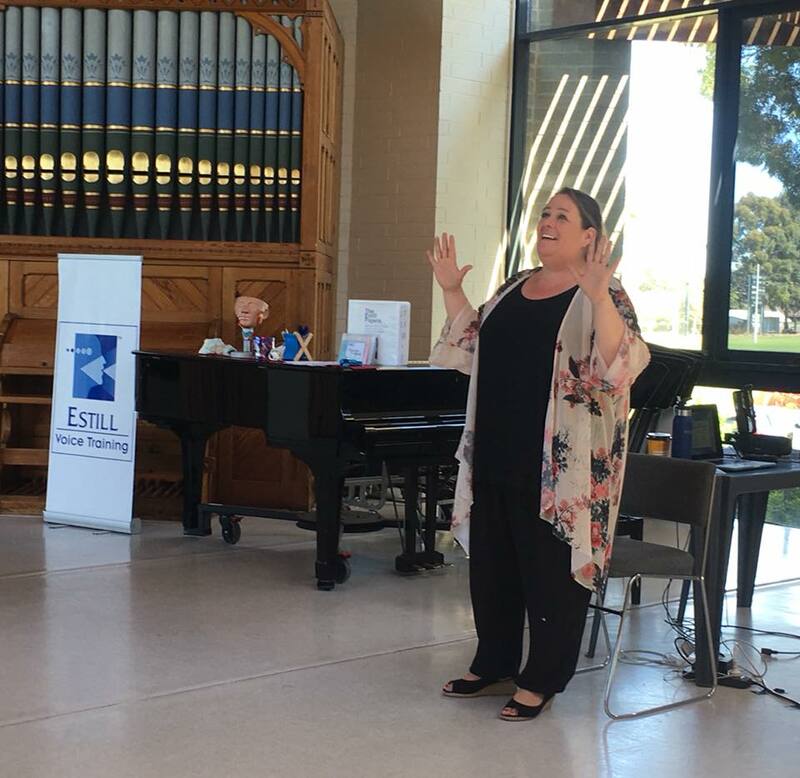 A successful trip to Melbourne, passing my Estill Voice InternationalCFP ( figure proficiency certificate ). A huge Thank You to my mentor Stephanie Marko, The Voice Gym for her support, nurture and guidance and my RADF grant, Queensland Government and Cairns Regional Council for supporting my professional development study. 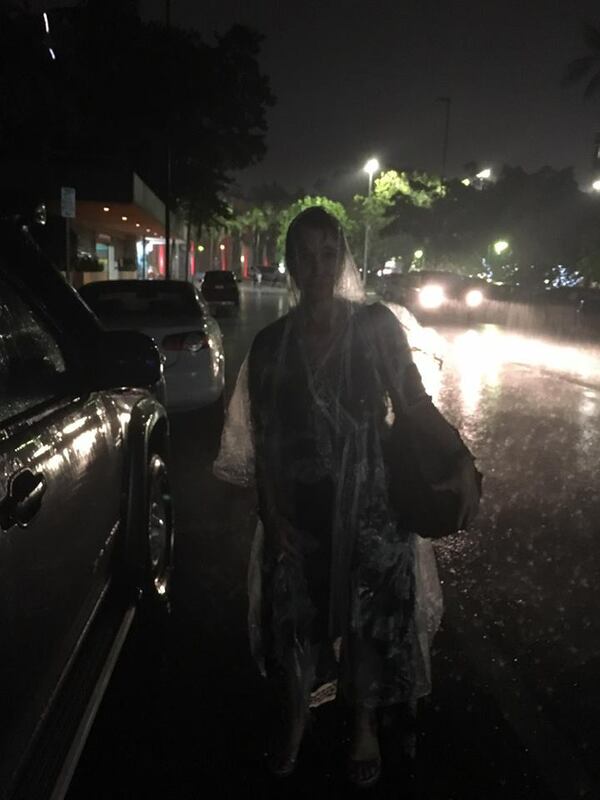 I should say 'Carols By Monsoon'. Boy did it poor!! So proud of the students who performed brilliantly under the circumstances. They entertained their socks off! They were also a dream to be with backstage. Polite, professional, composed and always smiling. 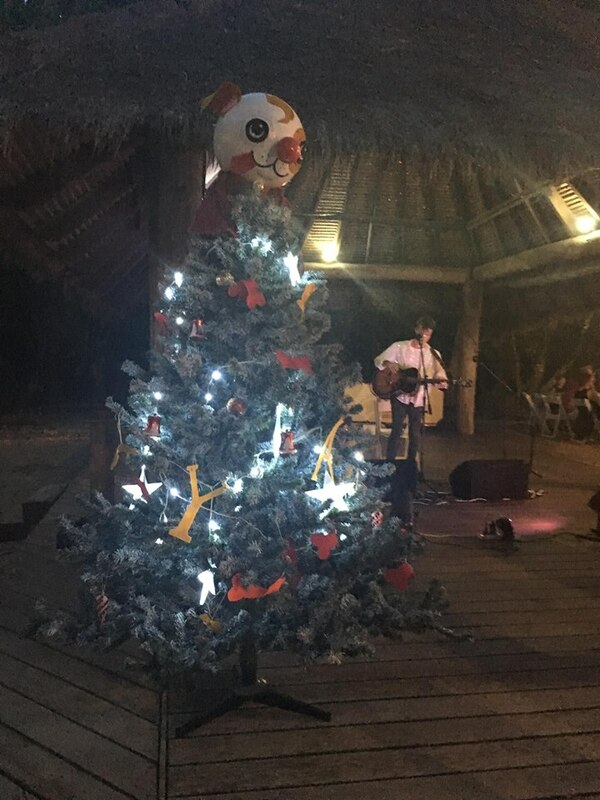 What a fabulous start to our Christmas At Kewarra series The Beach Shack, Kewarra Beach Resort, raising awareness and money for YAPS. 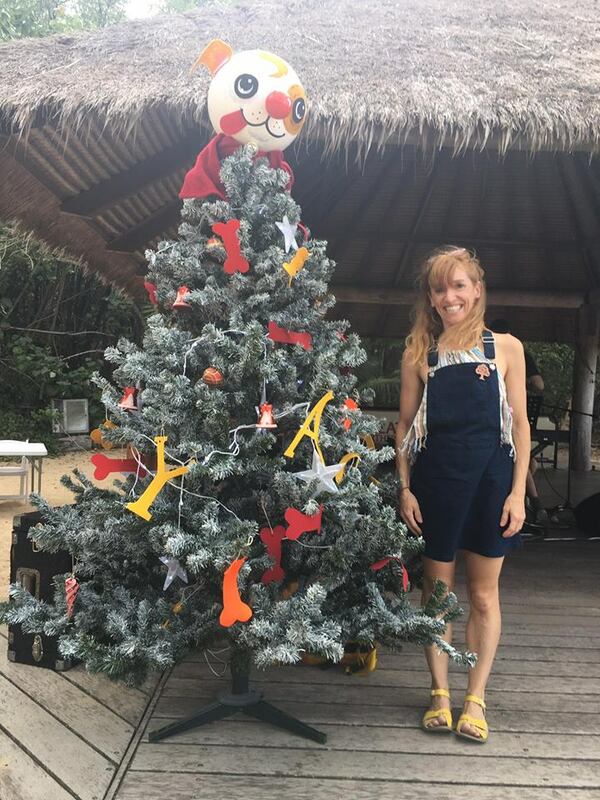 I'm in LOVE with our YAPS Christmas Tree designed by artist Hayley Gillespie. Students performed beautifully and had a ball! Thank you to special guest artists Connor Reid and Emily Hapea for performing. Looking forward to our next two events of our Christmas At Kewarra series. Loved watching these talented Elves and Fairy perform! A great Opening Night and fun co-ordinating this event with Mod FIlm and Marketing. Loved how students threw themselves into character! 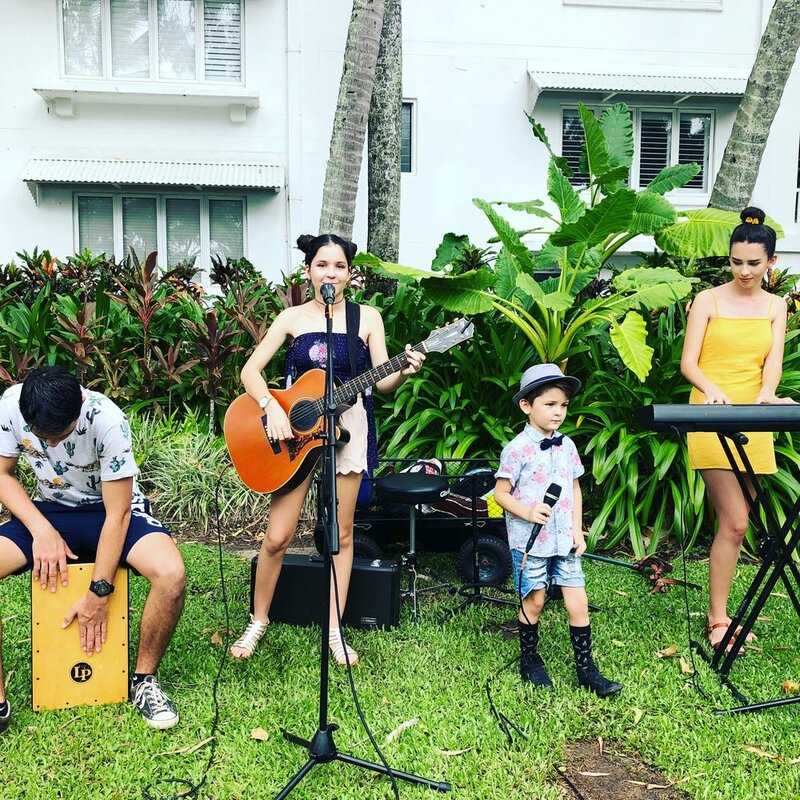 Mia was invited by Cairns 89.1FM radio after being spotted performing at Reef Feast this year. 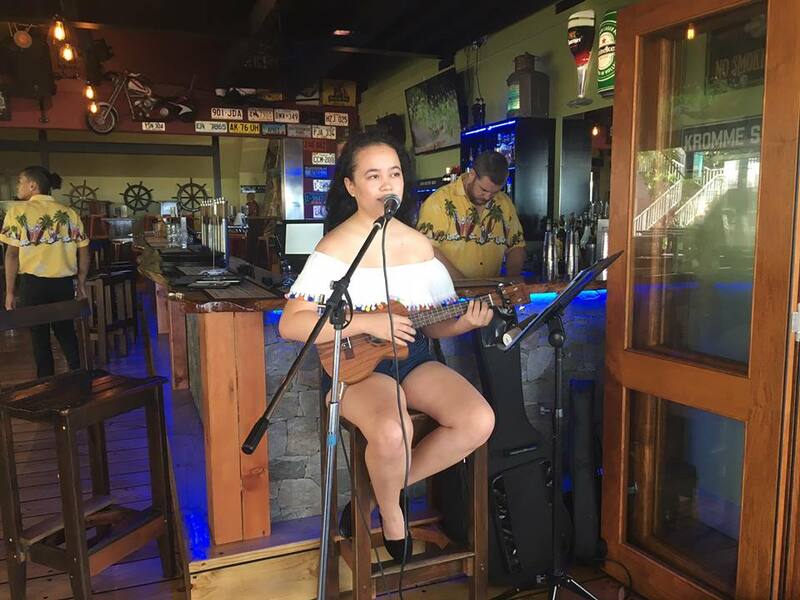 Mia performed lived and chatted about her vocal journey, ukulele's and future performances. 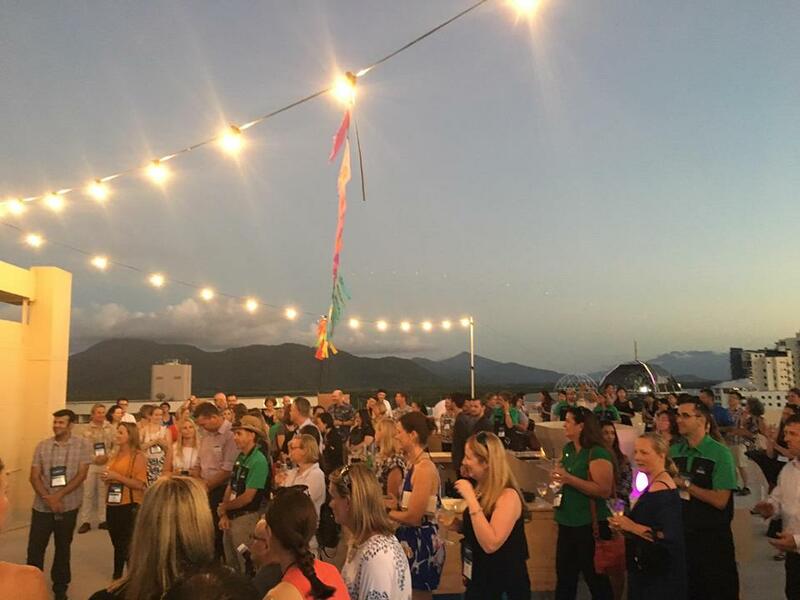 We were featured in Travel Daily News for ATEC and Tourism Queensland & Events Inbound Up North Event. A fabulous opportunity for the students to perform. Some fun shots from our Senior Vocal Showcase Sunday. More to follow. 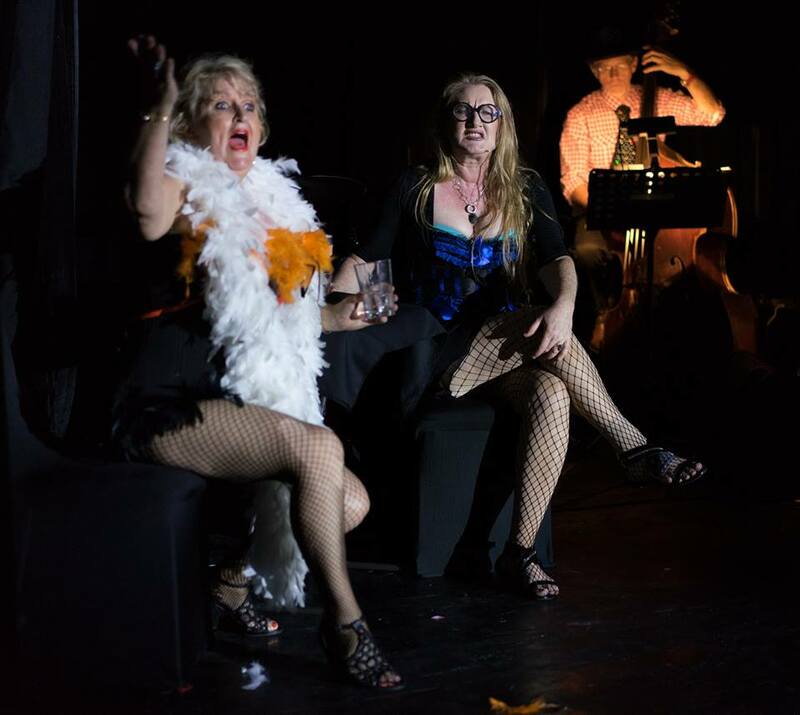 WE were overwhelmed with two sell out shows and fabulous feedback. Thank you to all you came to support what we do! A stunning evening on the rooftop of The Pacific International for ATEC's ( Australian Tourism Export Council ) Inbound up North Welcome evening. Students Mia Bolger and Megan McDowall performed a storm with The Choons. A fabulous weekend of sun, fun, food and live music and entertainment! Proud to have been co-ordinating all entertainment and the event. 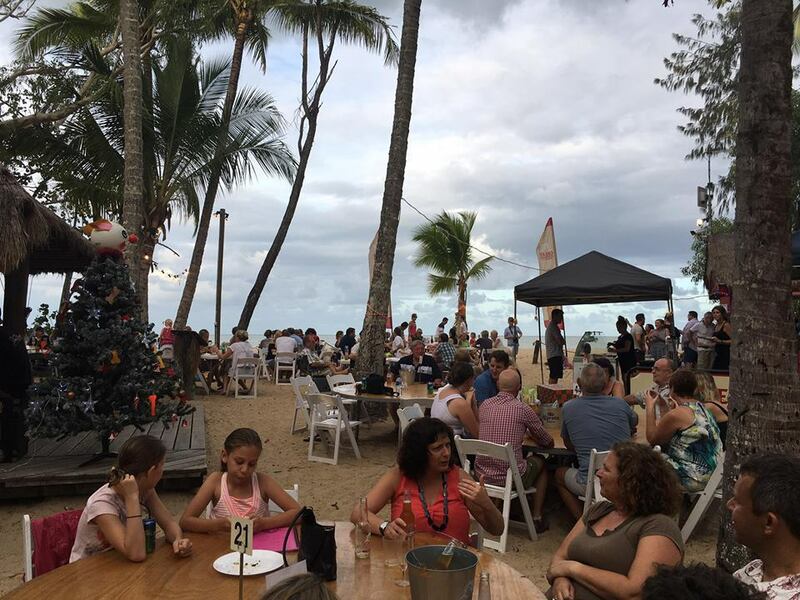 Thank you to all you supported Reef Feast Palm Cove 2016! A fabulous weekend for CVS students and artists performing and busking their hearts out at Reef Feast. They all had a ball performing. Such wonderful feedback about them all and ALL the entertainment and live music. A fabulous turnout last night for our first Music For Life Music Industry night at The Flying Monkey Cafe. 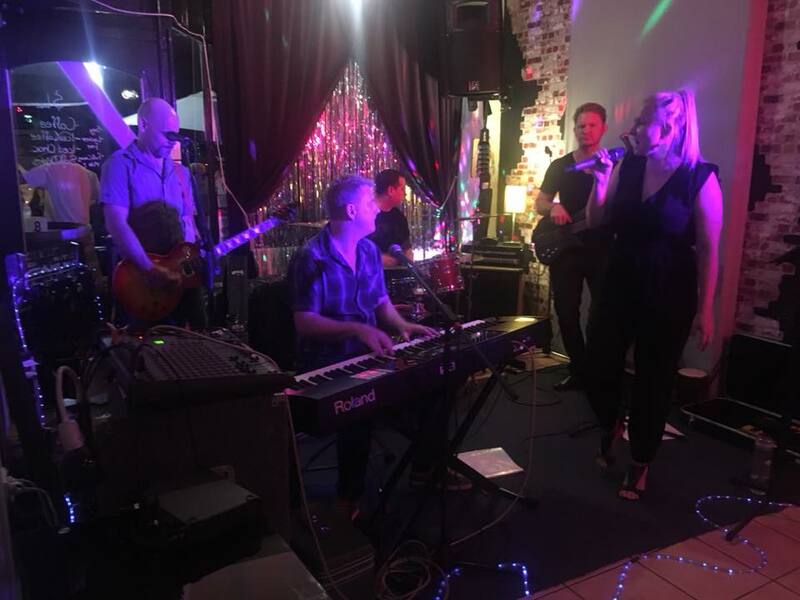 Thank you to Tony George (Tony George Entertainment), Colin Pett (ModFilm & Modmarketing), Enzo Russ (bass guitarist extraordinaire) and everyone who came along. Thank you for your questions and shared experiences and insights! A great night! A fabulous three hour voice workshop with Jen Hamilton's COREVINYASA YOGA Teacher Trainees this morning. Thank you for all your questions, laughter and participation. Great day today with Solo Vocal Workshops for our Showcase in October. The students received an even more inspired me after my trip to Melbourne. They didn't know what hit them! Thrilled to be attending workshops in Melbourne this weekend with the esteemed Anne Marie Speed from UK. 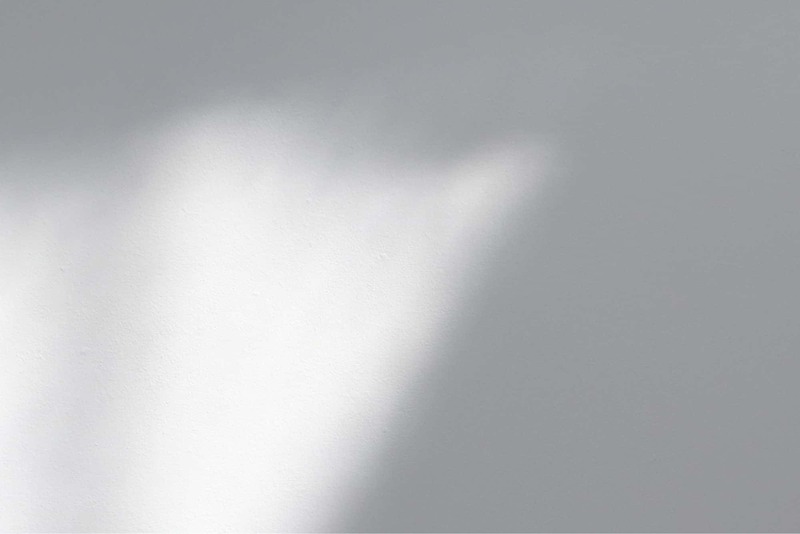 Ann Marie is one of UK's leading vocal coaches ( Royal Academy Of Music, voice consultant to Sony Records and Universal and one of the world's most experienced and inspirational ESTILL teachers ). Looking forward to catching up with fellow voice coaches too. So much fun was had for our Reef Feast media launch at Reef House, Palm Cove yesterday. Filming with Channel 7 Cairns, and in the news today! Front page of Cairns Post and Northern Beaches News. Thank you to all you came. You truly made it a colourful, fun launch for Reef Feast. Fabulous showcase workshops this weekend.! Really getting stuck into Musical Theatre Stage Craft. Too much fun! Leticia Wardle successfully auditioned for the lead role of 'Hope' in this festive Pantomime production of A Christmas Fairytale! Youth Students Lily-May Pynaker, Tiarni O'Brien and Macey Richards successfully auditioned for Elves. November 25th - December 10th. Thrilled to be working with Domino's employees educating them about vocal health and voice craft. 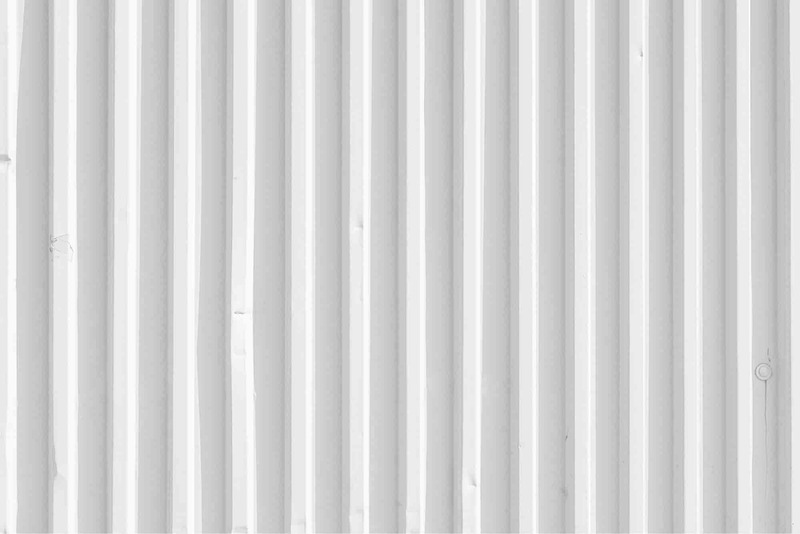 For many employees, speaking in public can be daunting or their work environment may be too noisy to be heard. Looking forward to some fun and education with the staff! Looking forward to mentoring The Emerging Artist recipient for The Tablelands Folk Festival Songwriter Competition. Thrilled to be working with Roz Pappalardo for vaious projects she will be involved in. 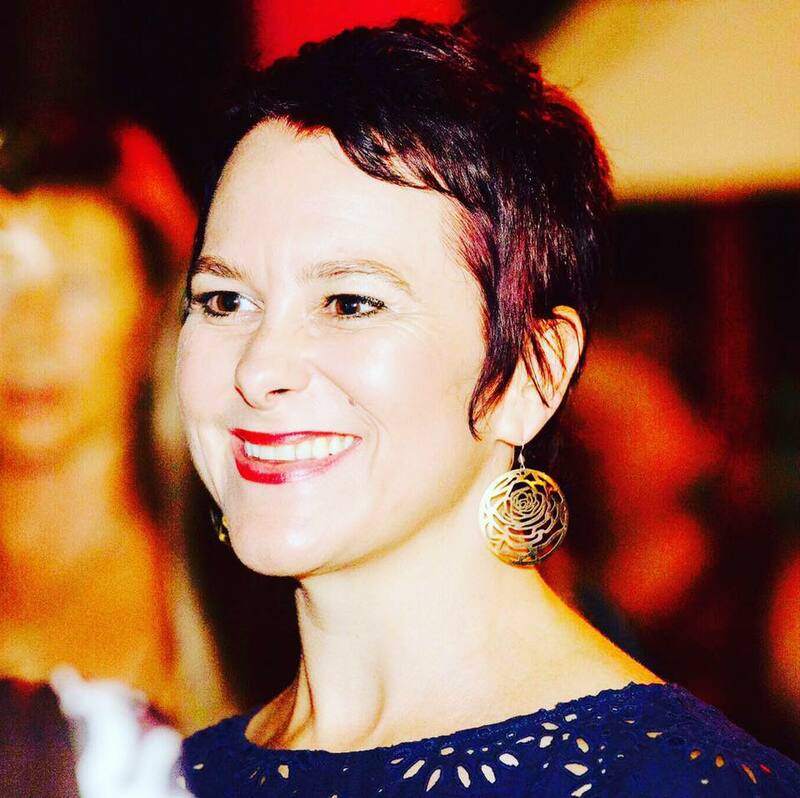 Roz is the consummate professional artist and huge contributor to the new vibrant Cairns Performing Arts and Live Music Scene. My Red Wine, Late Nights T Shirt arrived. YAY! Book your tickets now to see Leanne Tennant's Red Wine, Late Nights Album launch at The Tanks Arts Centre Friday 16th September 7pm. A great evening of fine Jazz and Broadway entertainment. Student Harry Boothby is putting on this fab one night show Sunday 18th December with his uncle Steve Judkins ( international Musical Theatre and Jazz Vocalists from Las Vegas and Tommy Seepoy Trio to raise money for TAS World Challenge journey to Nepal 2017. A fabulous cause! Harry's sister Coco Boothby will be performing too. Those who know and love Harry will know he loves to perform. He is an infectious character who loves his JAZZ! You will be guaranteed for an entertaining night. $35 per ticket. The Official Opening of Munro Martin Parklands didn't disappoint. A fabulous new venue showcasing Opera Queensland's touring production of Rossini's Barber Of Seville. Students Paul Cary, Giovanni Battiato and Emily Hapea had a ball performing. Let's make sure as a community, we support this venue for it to survive and bring much needed performances, art and culture to Cairns. Tonight's the night! Student Giovanni Battiato in costume with Mark Taylor from Opera Queensland in today's Cairns Post. 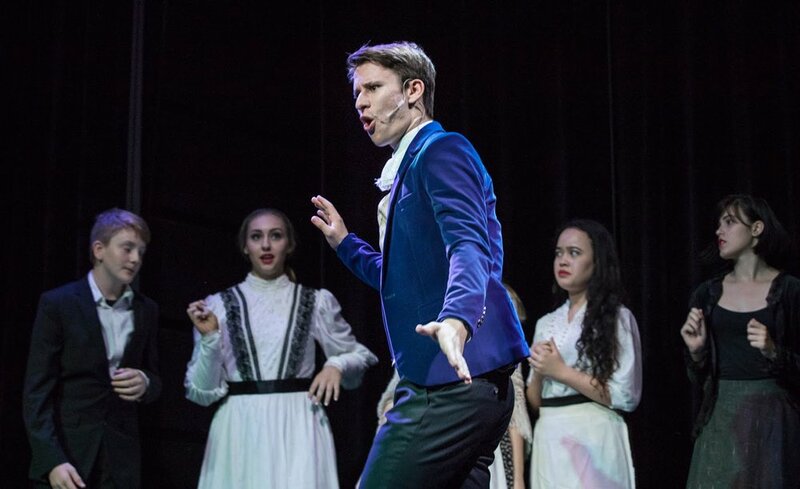 Big Best Wishes to our students and Cairns community chorus for Opera Queensland's Project Rossini production The Barber Of Seville at Munro Martin Parklands. Cairns Voice Studio is proud to be sponsor for this fabulous community event and Director Keesha Mclean as Entertainment Consultant and media/design co-ordinator. This year over 30 local live music acts will be performing throughout the weekend as well as a Youth performance stage. Save the dates 6-9 October. Vocal showcase workshops have well and truly kicked in! Great work, energy and vocal awareness. Love it! Save the date for our Vocal Showcases at Cairns Dinner Theatre Sunday 23rd October! Glider Pilots, Sammy & Ben Hope performed a set of cool vocals at the new Harvest bar-B-Que at The Paddock yesterday. Love what this duo are doing. Excited to be producing and presenting at this music industry event in September. 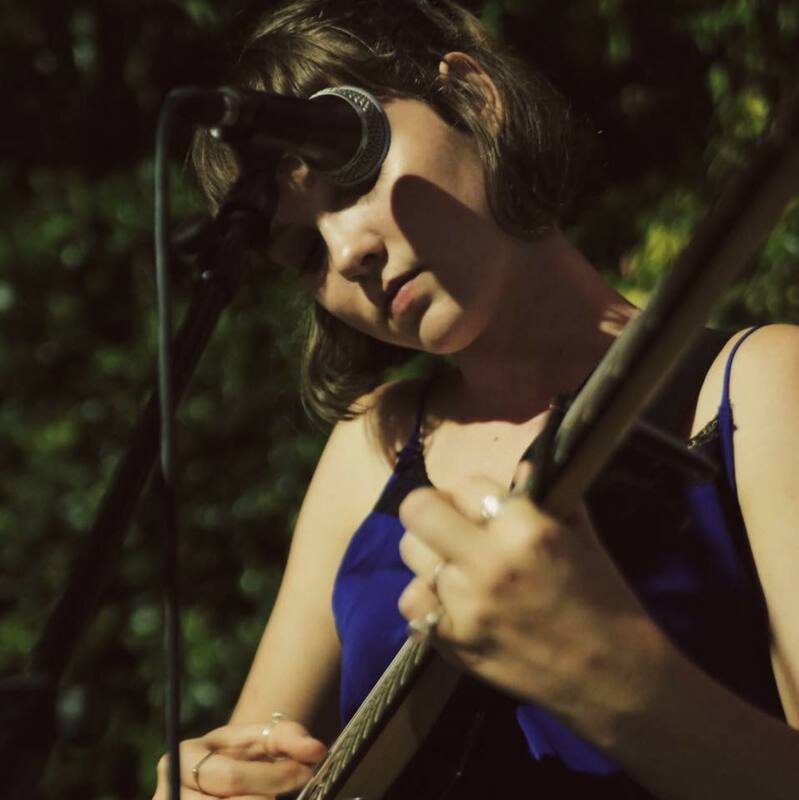 Excited for student Samantha Hope - Glider Pilots duo who will be supporting Leanne Tennant's new album launch RED WINE, LATE NIGHTS at The Tanks Unplugged Friday 16th September 7pm. 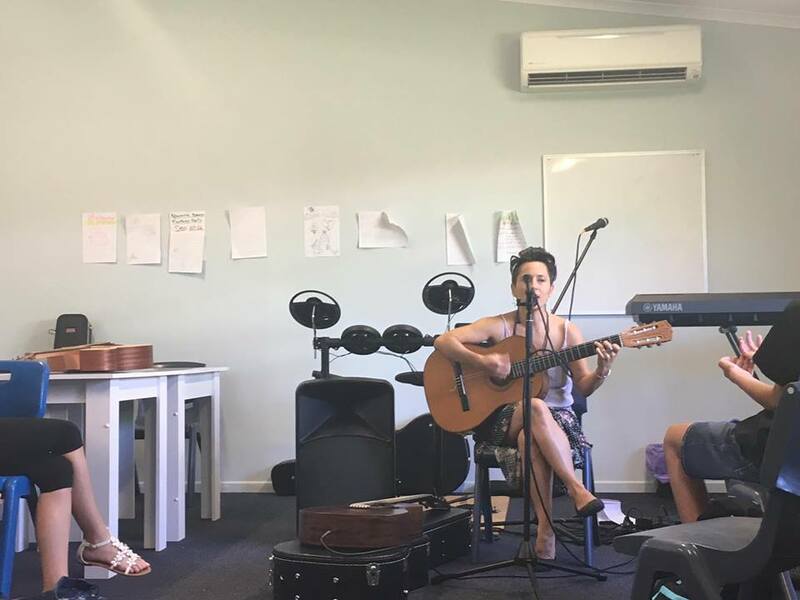 Cairns Voice Studio love mentoring Glider Pilots and artist Brealyn Sheehan. A fabulous evening of Cairns local songwriters. Grab your tickets now! Thrilled to be M.C. 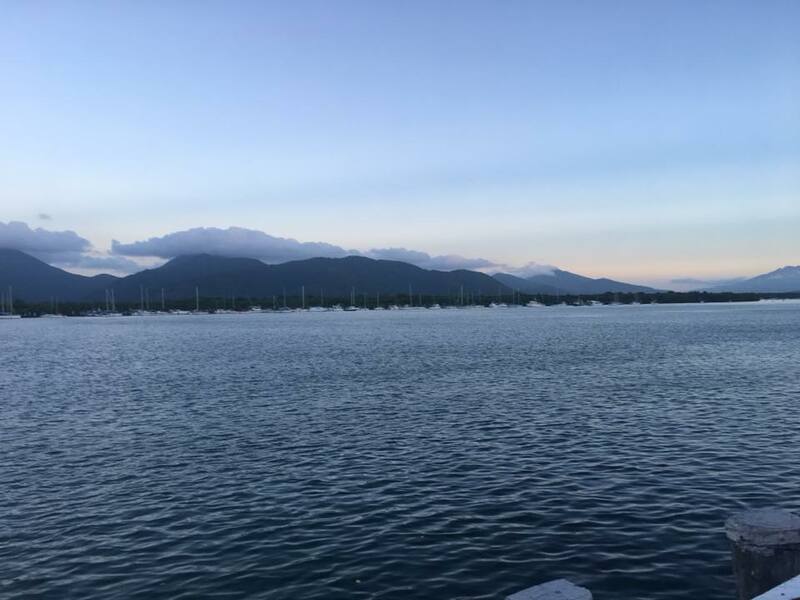 and presenting 'Your Voice, Your Journey' voice workshop at the annual ACPET ( Australian Council for Private Education & Training ) Forum at The Cairns Hilton, Thursday October 20th. Excited for Katie Jay's debut album launch 'You're A Dreamer' August 6th at The Yarra Hotel, Abbotsford Melbourne. It's such a pleasure working with this beautiful song writing artist. 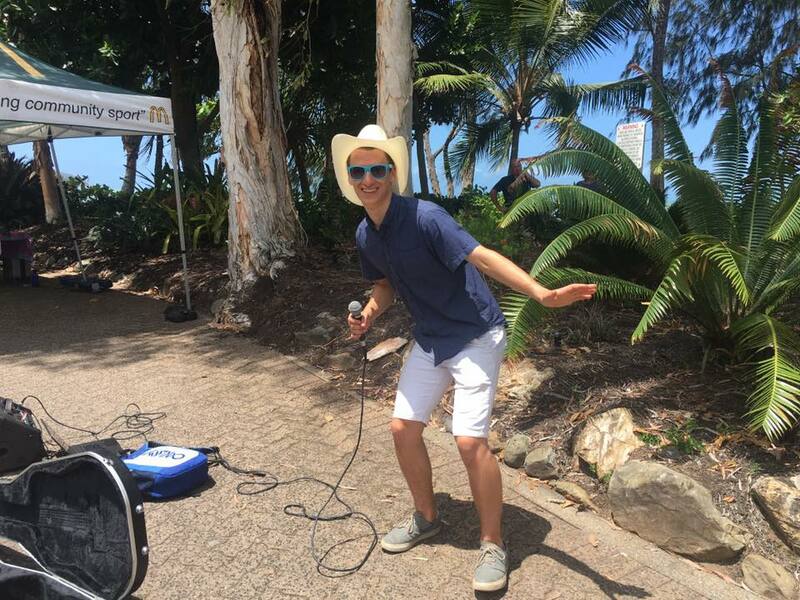 Glider Pilots duo (Student Sammy Hope and brother Ben) performed at Resonate at Cairns Courthouse Hotel Sunday. 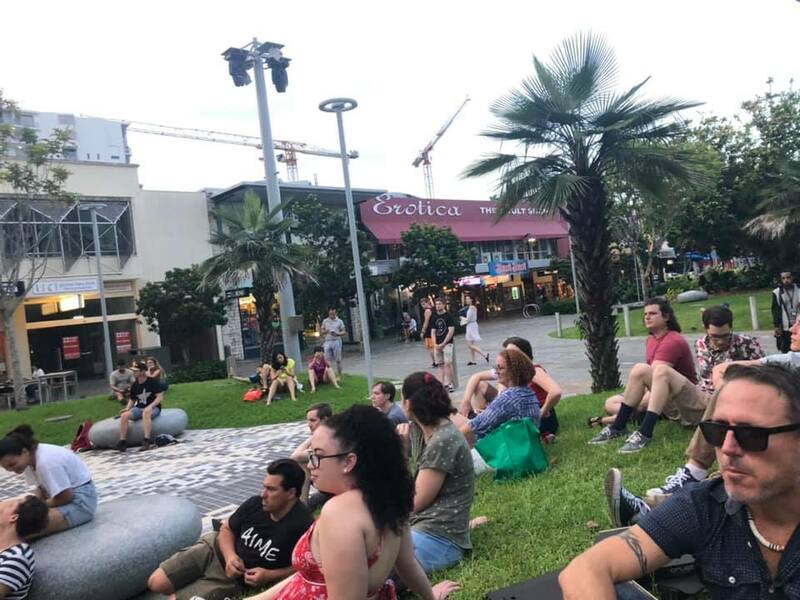 Resonate is a great platform for original live music in Cairns. 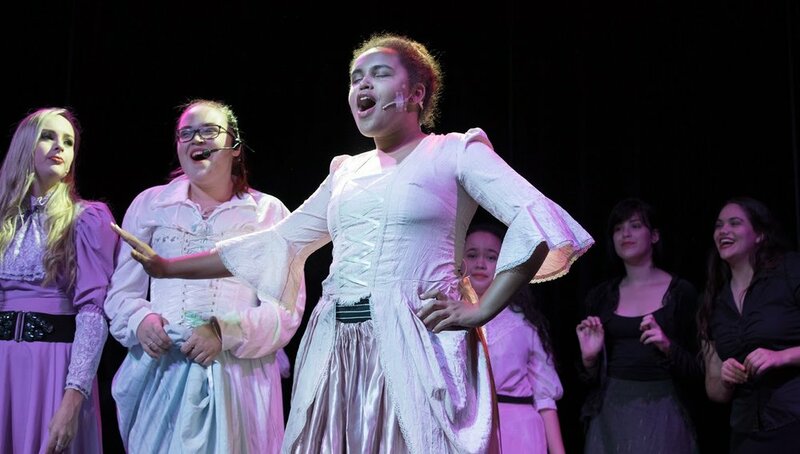 Students Lily-May, Mia and Leticia performed at storm at Cram It On Broadway with special guest Rob Mills at The Clink Theatre Saturday evening. A sold out show which raised funds for the theatre. You can see Leticia is a huge fan of Rob! Thank you again to Michael Kerr for the opportunity. Looking forward to many more. 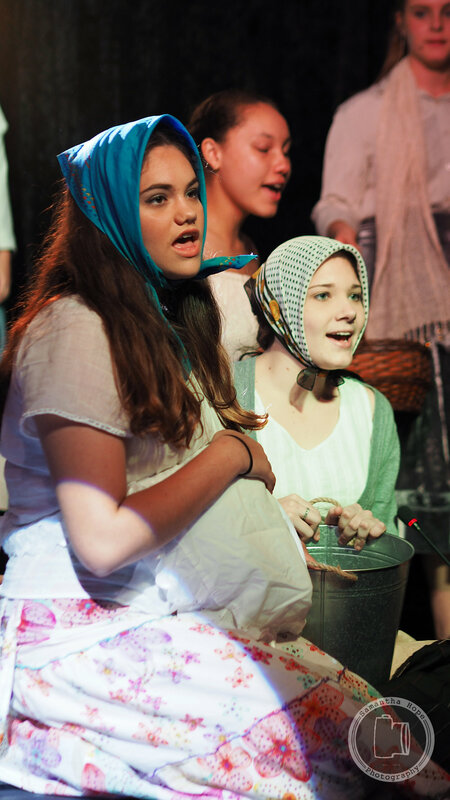 Lovely to see students Cara Brown and Rosalie Wolff in the paper today, performing in the Cairns Eisteddfod. 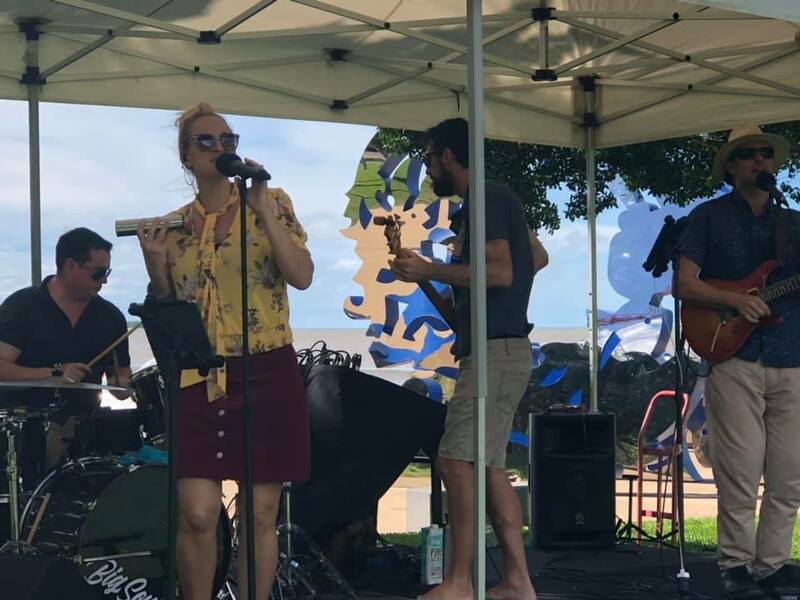 Student Sammy Hope will not only be exhibiting her fabulous photography, Sammy will be performing with her brother Ben Hope as their duo Glider Pilots for FREE RENT at The Flying Monkey Cafe Friday July 8th. A great initiative for Cairns Arts scene. 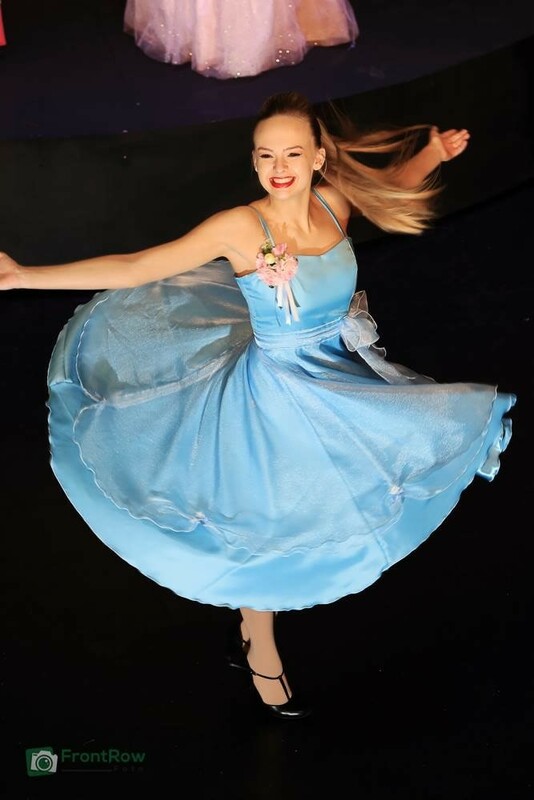 Students Mia Bolger and Katie Spuler looking divine in their MT costumes. Mia won 14-18 Musical Theatre section with Madhatter from WONDERLAND and Katie 3rd with Show Me from MY FAIR LADY. 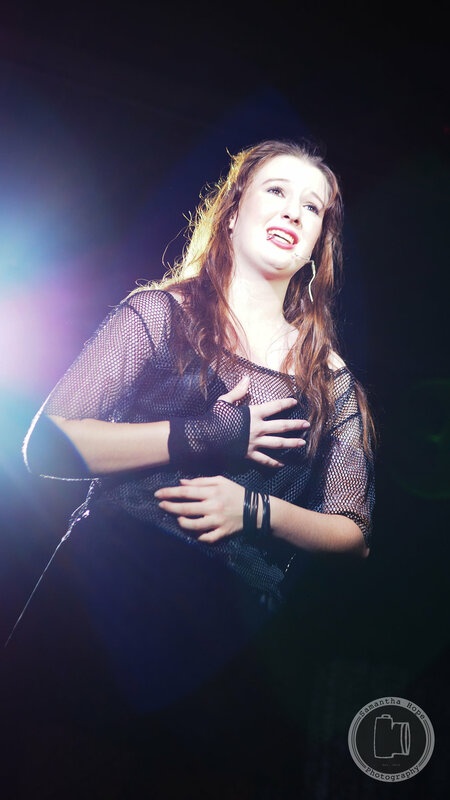 Student Kiera Chapman also performed a storm with Pulled from ADDAMS FAMILY. They all had a ball performing and this is what counts with these competitions. Cairns Voice Studio were cover page of Cairns Eye in this Weekend's Post. A huge Thank You to Editor Rosalind Pulley at Cairns Post for the lovely editorial and visuals. 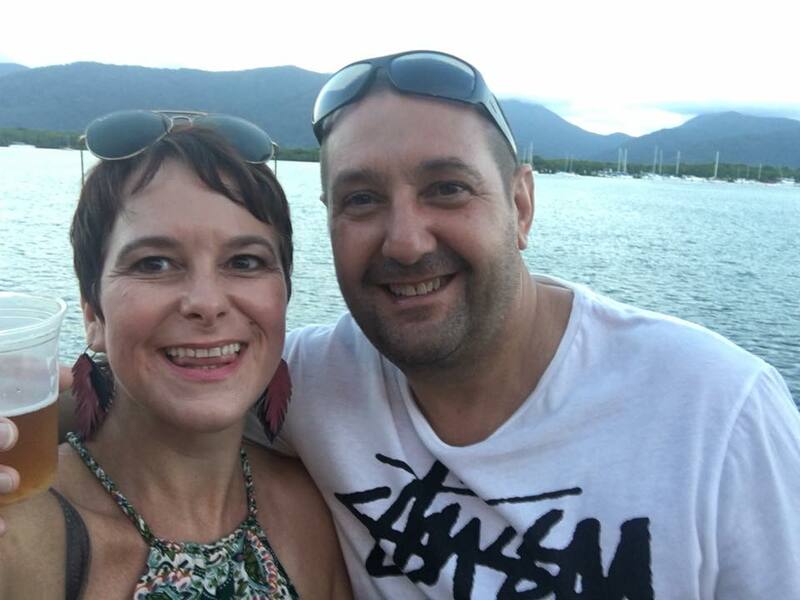 It has been a challenging and rewarding journey since moving to Cairns from London. Thank you to all who continue to support Cairns Voice Studio and what I do. Please follow our two community voice concepts, Sunday Soiree and FNQ Viva Flash Mob on Facebook. Sunday Soiree will be in it's third session at Kewara Beach Resort Sunday 24th July 4pm. We have raised over $750 for local charities 'beyondblue' and 'Mookaie Rosie Bi-Bayan'. Entry to each Sunday Soiree event is by donation to a local charity. Our local charity for July's Soiree will be 'Relay For Life'. 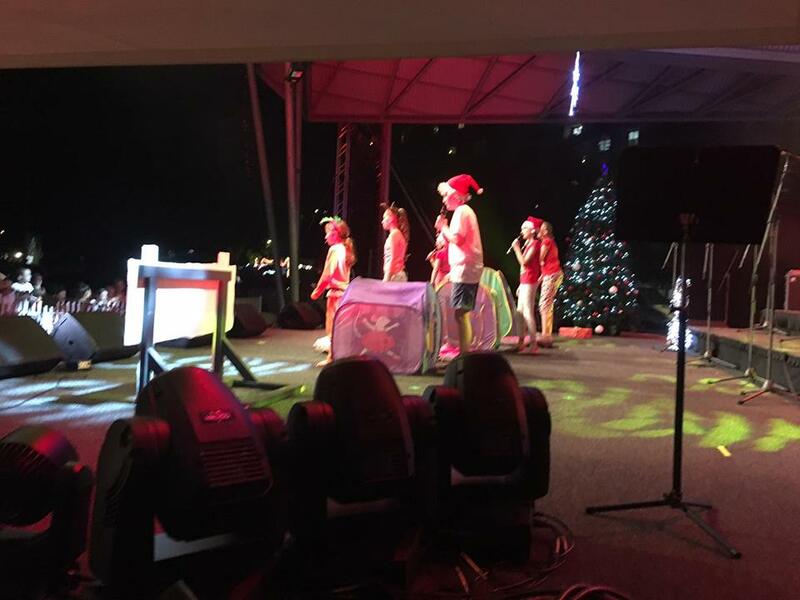 FNQ Viva Flash Mob performed a storm and were a hit at Reef Feast Palm Cove 2015, surprising public at Cairns Airport baggage reclaim and throughout Williams Esplanade. FNQ Viva Flash Mob will return for further impromptu fun at this year's Reef Feast Palm Cove event 8th and 9th October. 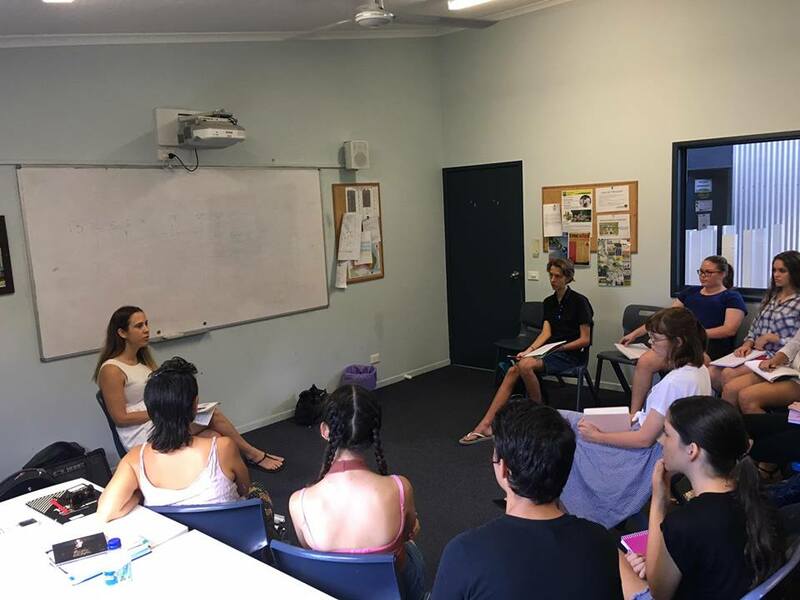 What a fabulous weekend at Sun Pacific College in Kewarra Beach for Cairns Voice Studio students with Stephanie Marko from My Voice Gym, Melbourne. Sixteen students enjoyed an inspirational, intensive and fun introduction to the Estill Voice Craft. Thank you Stephanie. We ALL learnt so much! 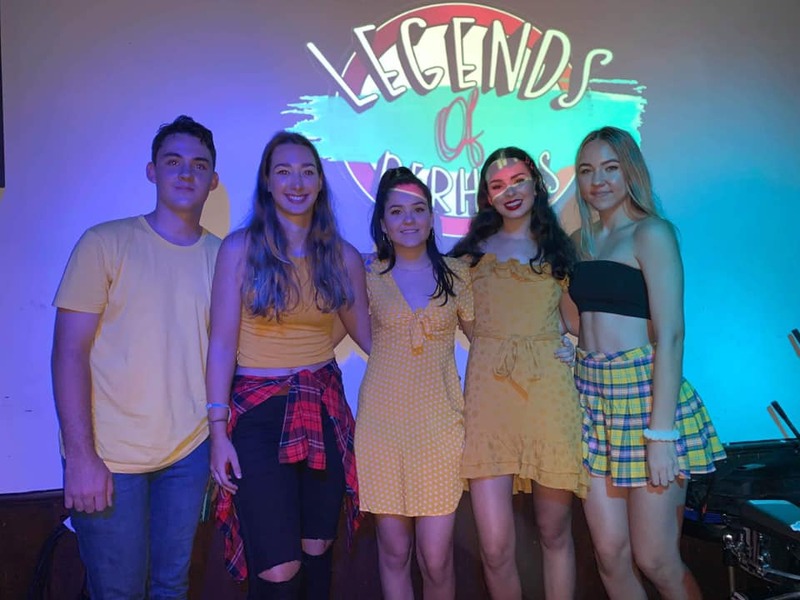 Cooktown students 'Legends Of Perhaps' won Cooktown's Got Talent this week with their performances of 'Smells Like Teen Spirit' - Nirvana and 'Bird Set Free' - Sia. Very proud of Amber 13yrs (vocals), Jake 13yrs (percussion) and Holly 16yrs (piano and vocals). Even little brother Jasper joined in on the performance! Sunday Soiree at Kewarra Beach Resort was another success today. A fabulous turnout with all proceeds going to Mookai Rosie Bi-Bayan Charity. Very proud of students Emily Hapea, Ceridwen Young and Paul Carey with beautiful accompaniment from Kath Burdett. A huge Thank You to management of Kewarra Beach Resort for their support. Next Sunday Soiree will be in July. 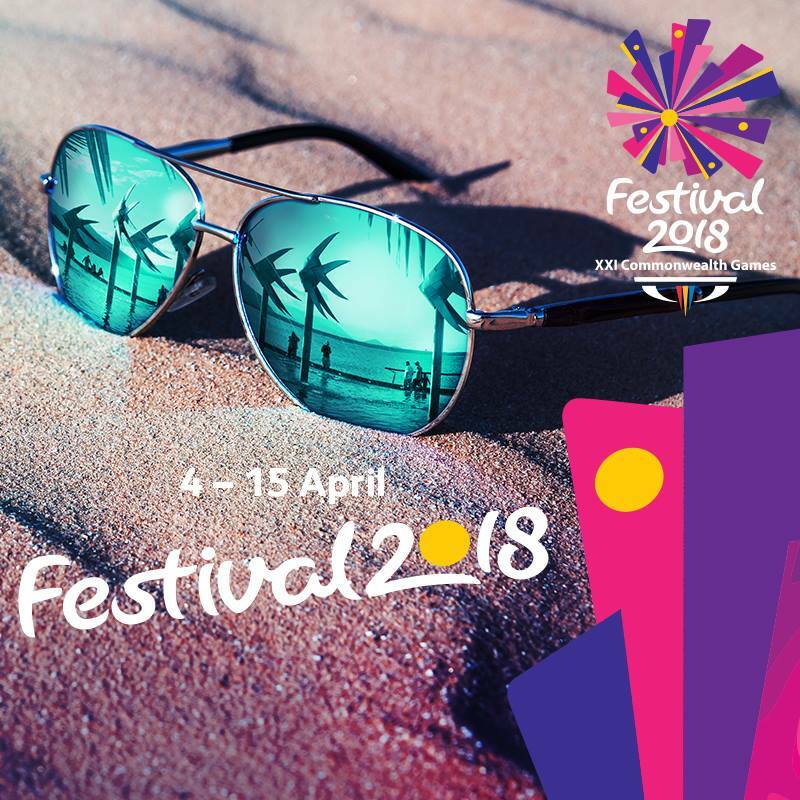 Due to the unusual monsoonal weather, numerous live music acts were cancelled for the Fishermen's Village Seafood & Music event Sunday 22nd May. I have never seen rain like it! 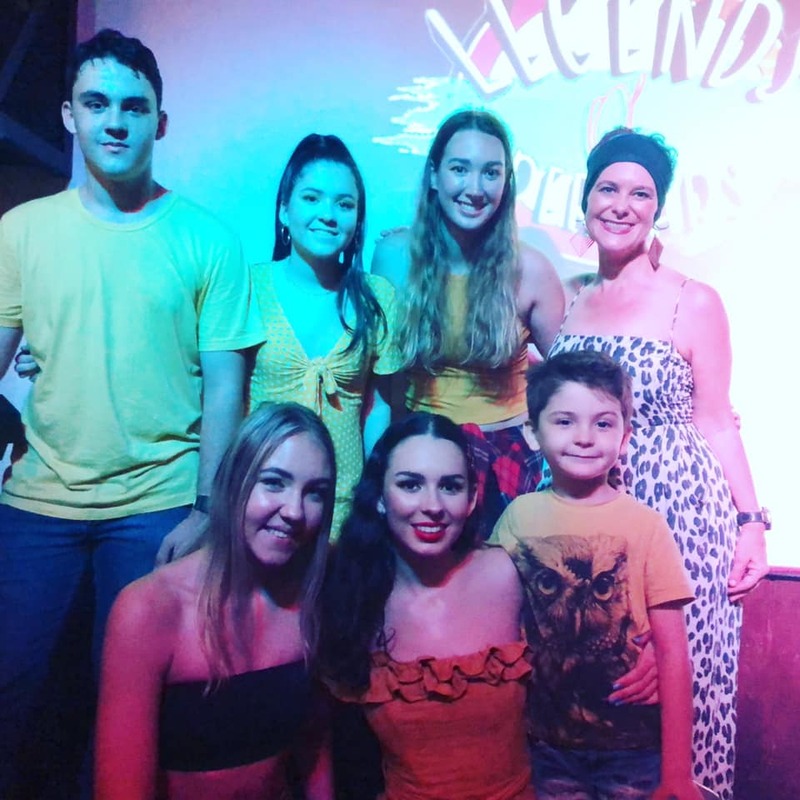 We were fortunate to find space for Cooktown youth students 'Legends Of Perhaps' to perform a short set in the Wonderland Spiegeltent and of course the unique and mesmerizing talent of Brealyn Sheehan. Cairns Voice Studio were proud to be a sponsor for Port Douglas Carnivale 2016 and advisor for local FNQ artists. 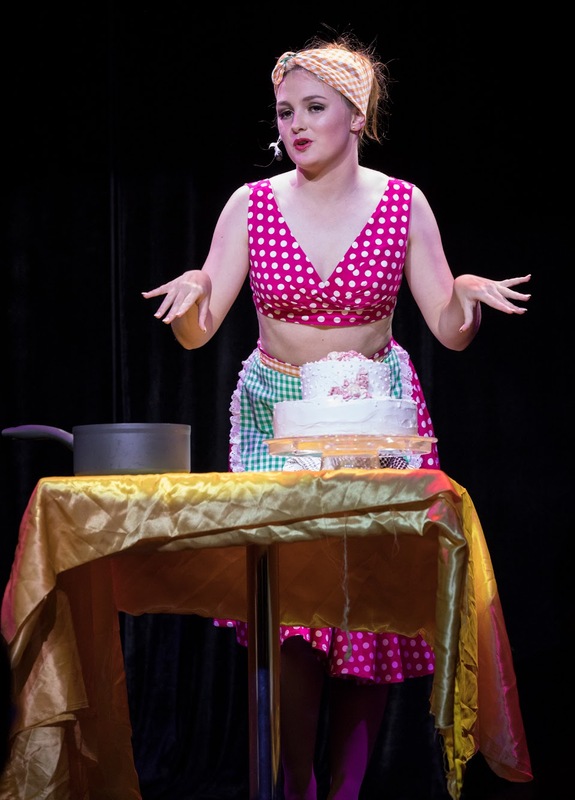 Congratulations to student Amelia Ayris ( who recently was Marta Von Trapp in The Sound Of Musical Musical Brisbane ) who has survived the cut to the final 6 for the role of Lavender in Matilda The Musical Brisbane, Perth and New Zealand Australian Tour. 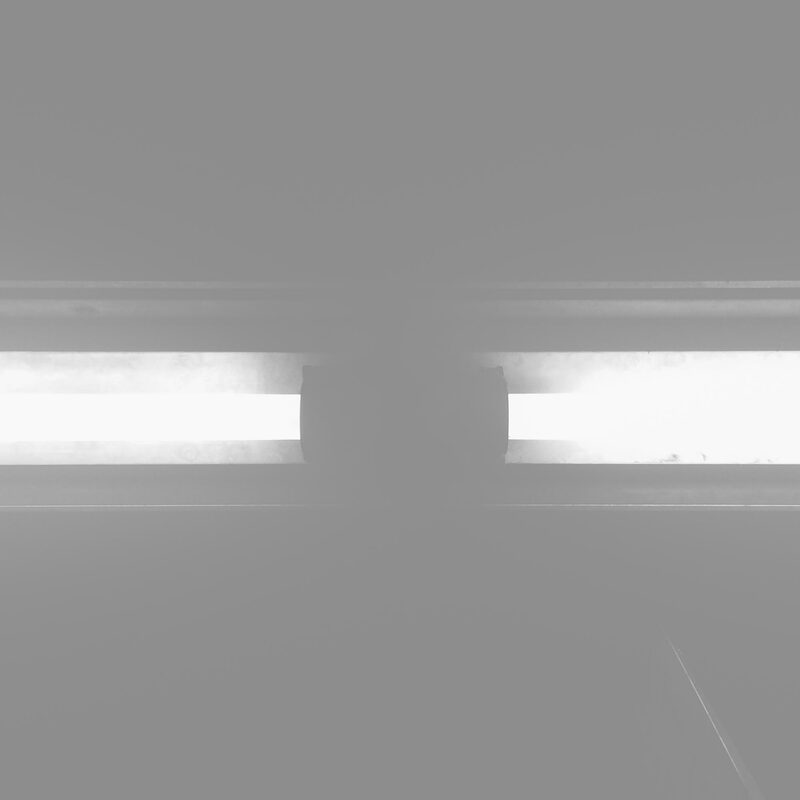 Glider Pilots have launched another music video. So proud of this young duo who are continuing to improve,evolve and create. They produce their own music video as well as original songs. I'm inspired. Great stuff. This unique and mesmerizing artist continues to amaze me and continue to enjoy mentoring and supporting Brealyn in anyway I can. 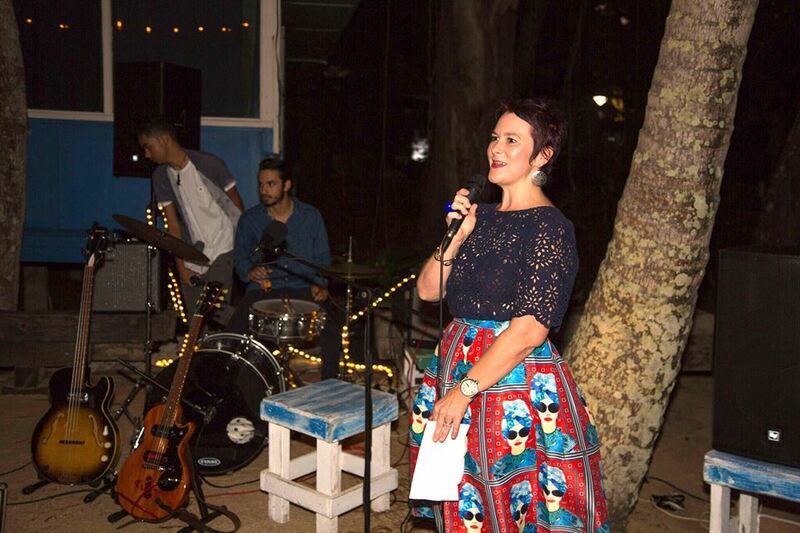 I had the honour of being MC for Brealyn Sheehan's EP debut at Crate 59, Cairns. A truly special evening. One to remember always. One of my favourite tracks from Temptation's Door.